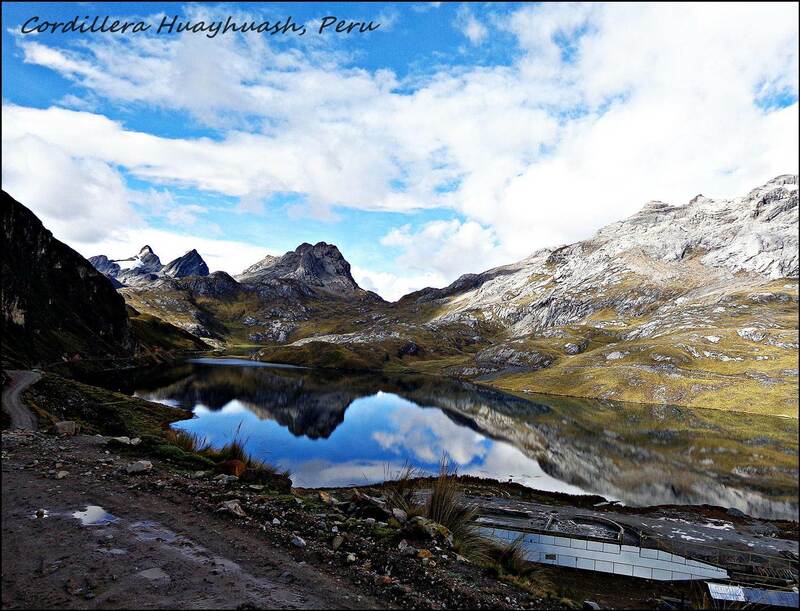 If you had to visit only one country (up to this point) in the whole of South America to see most things this continent has on offer, Peru would be it. 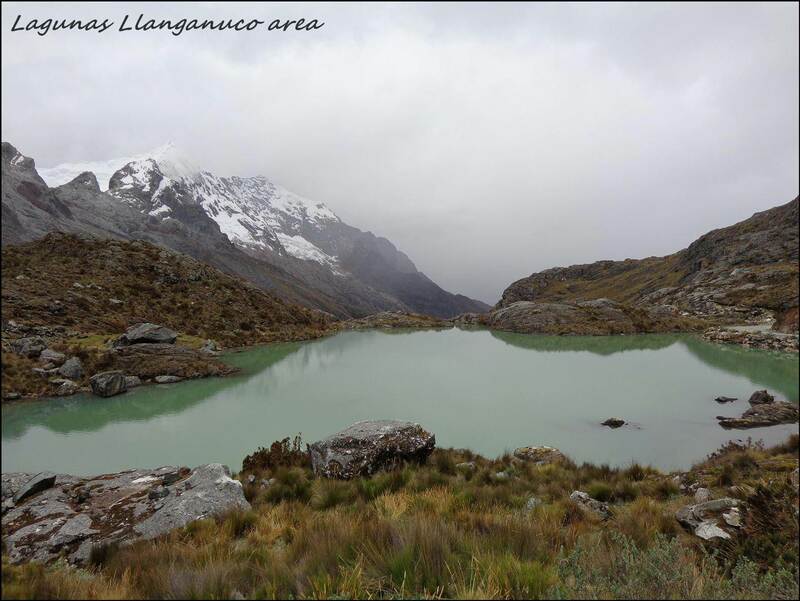 The Andes mountain views here are unparalleled, the high altitude lakes which was so characteristic of Ecuador does not come close to the beauty and locations of the lakes in Peru. 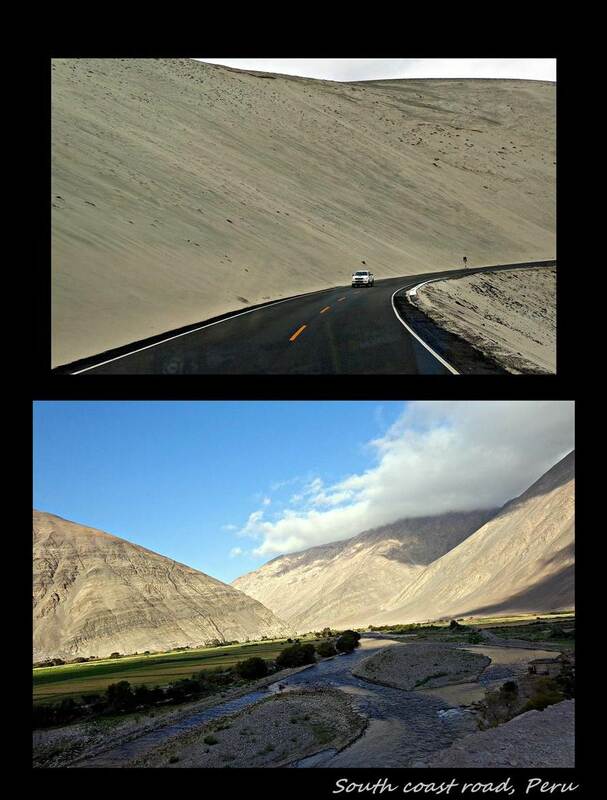 In a day you can drive from hot and dry coastal deserts in the west to the freezing high altitudes of the sparsely vegetated Andes antiplano to the humid and suffocating Amazon to the east. 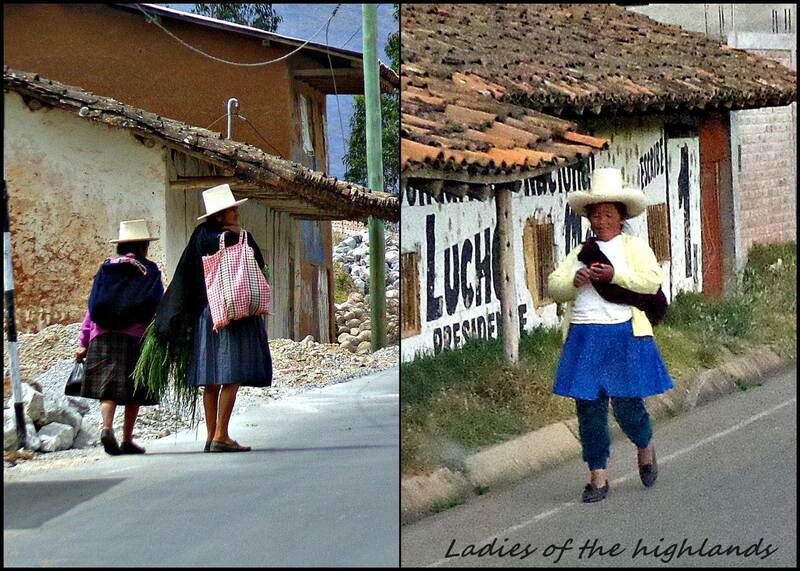 The people, indigenous and new age, are welcoming and helpful, the food cheap and delicious and the travelling easy. Top this off with the most visited ancient ruins, gorgeous colonial cities and a few freaky mummies, and you have all you need to see in a short-term South America trip. 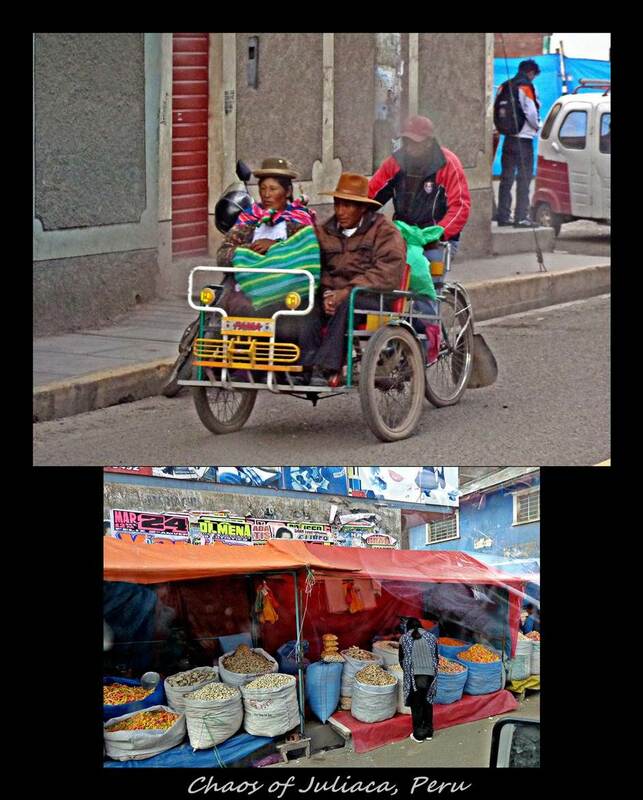 The first thing you notice when crossing the border between Ecuador and Peru, is the small 3-wheel tuc-tucs that seem to be the only public transport required. The second thing is the much appreciated heat associated with the ocean as well as the large amount of oil rigs on the horizon and the third is the awe inspiring amount of bread types that they have available in their supermarkets. 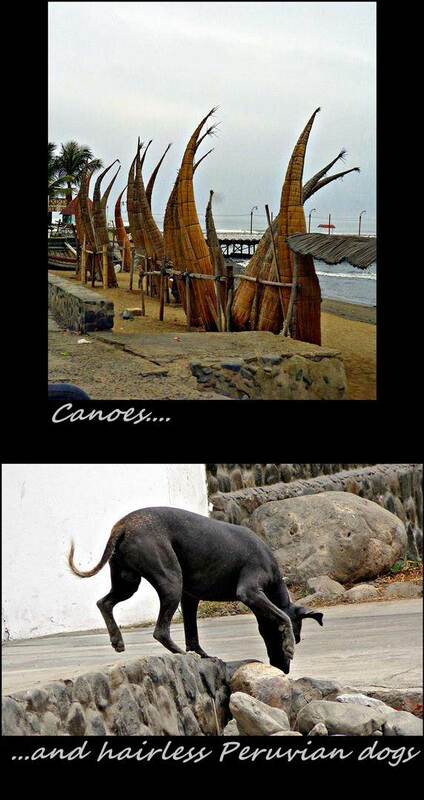 The world (I might have to exclude Italy, but haven’t been) can definitely take some notes from these guys! As a breadlover, I can tell you that everything is good, but if you happen to be there, try the brown ciabattas…it might make you consider becoming Peruvian. 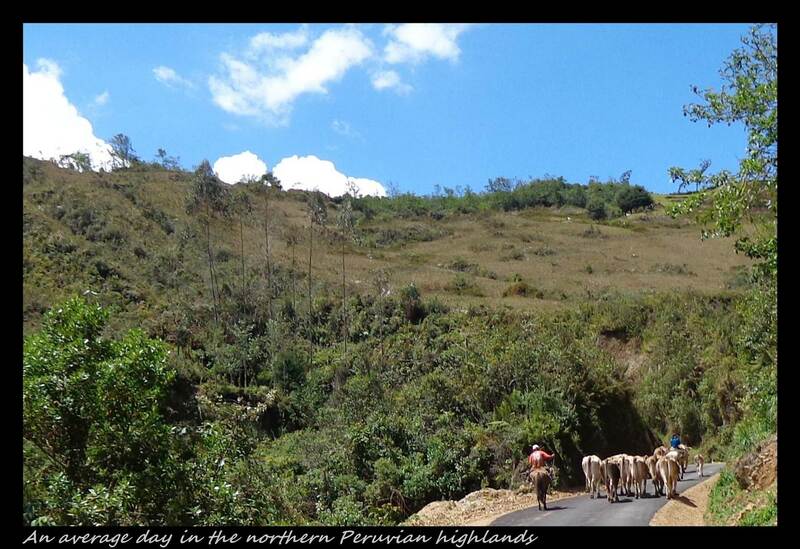 We entered Peru near the coast and drove an enormous and unintentional detour to get to a looproad that heads inland to a number of small indigenous communities and some tiny breathtaking mountain roads. Having kicked ourselves for wasting some of the expensive Peruvian petrol/gasoline, we zoomed past the Valle de Piramides where no fewer than 26 pyramids lies crumbling away in 200 hectares of dry deserty landscape once populated by one of the many ancient civilizations that called Peru their home (not the Incas). We didn’t stop but got a picture of their grandest pyramid. 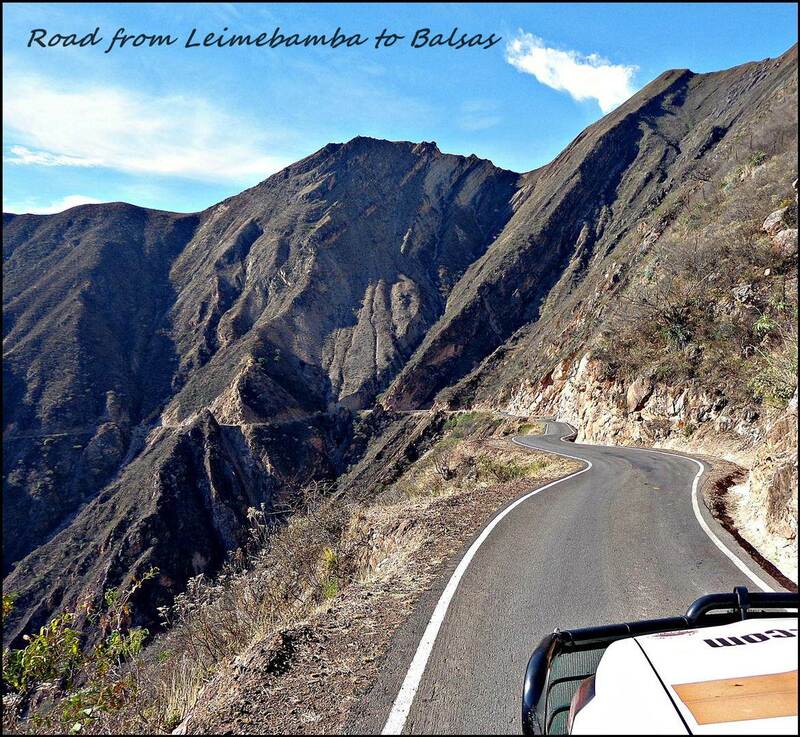 We continued on the winding road over the lowest crossing on the Andes mountain range where we saw beautiful fertile valley with every type of fruit you can hope to find. Once further in the northern highlands, small houses made of mud with straw roofs could be seen everywhere and right next to them women hanging on to a pole while performing their strange art of weaving. 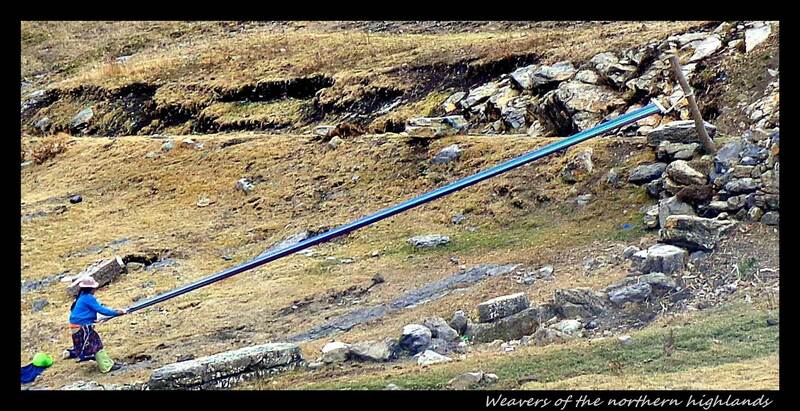 From our limited views and knowledge, it seems that a large number of colorful wool strings are tied to a piece of wood positioning them parallel to one another and the wood are in turn tied to a pole capable of holding a woman’s weight. 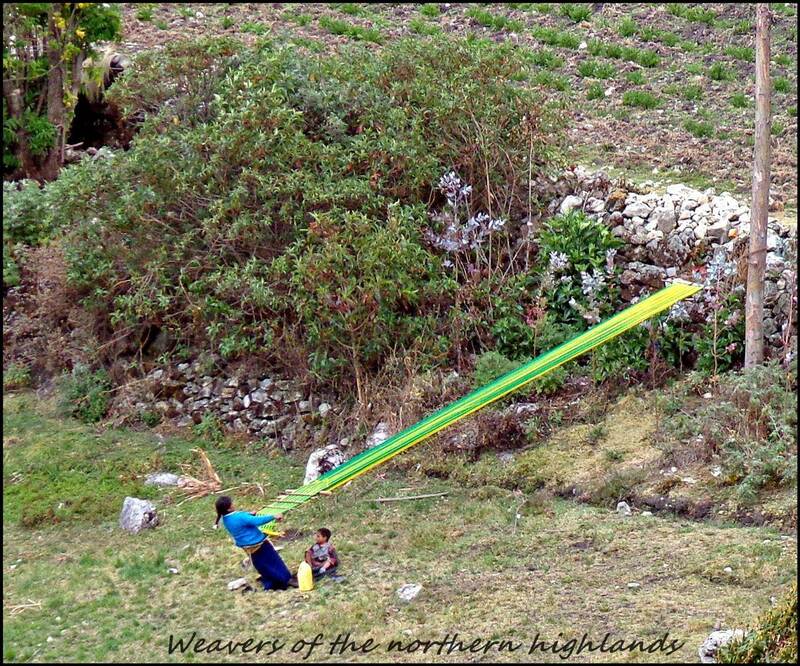 These strings can be up to 8m in length and at their end, a women weaves another piece of colorful string through these parallel strings and then has a second piece of wood which she then leans back with to pull this string toward herself resulting in a tightly weaved piece of cloth. In addition to this, women everywhere can be seen spinning yarn with one hand from unprocessed sheepswool wrapped around a stick whilst attending to the very sheep producing the wool they are spinning. They wear strange broad rimmed top hats which seem to be a right of way, as only women from about 16 years seem to be allowed to wear them. 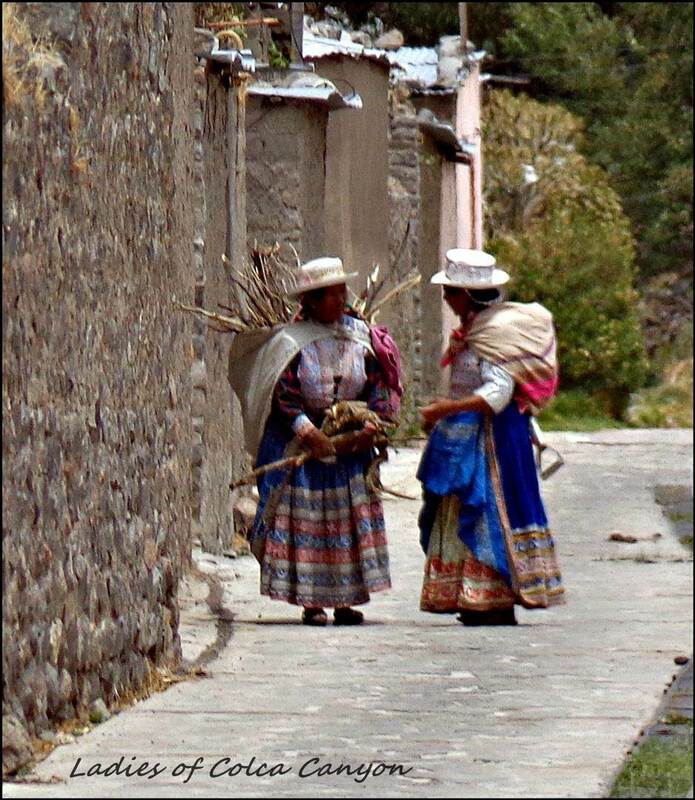 To top their outfit, they wear simple black skirts, +/-20deg C or and hang their colorful self-made cloths around their shoulders to protect from the cold. It was strange and wonderful experience to see what basically comes down to a textile and clothing factory. I wouldn’t even know where to start. 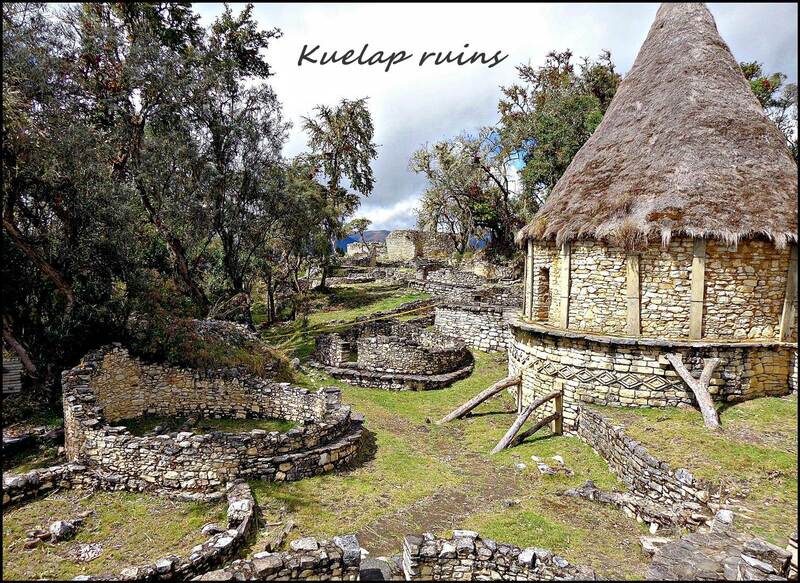 We read in our guide that the ruins of Kuelap matches the grandeur of the Machu Picchu and figured since we were so uncultured in the ruins department after Mexico, we would make an effort here. The road there were much longer than we anticipated as it traversed high on the side of several mountains and instead of stopping in the nice quarry site at the bottom of the mountain road, we opted to drive until 8pm to get to the parking lot of the ruins. What was supposed to be a level (hopefully paved) area with possibly open toilets turned out to be a super-muddy (to the point where you are literally 10cm taller after a few minutes) with no toilets in fact. The site was as impressive as rocks stacked on top of each other can be. 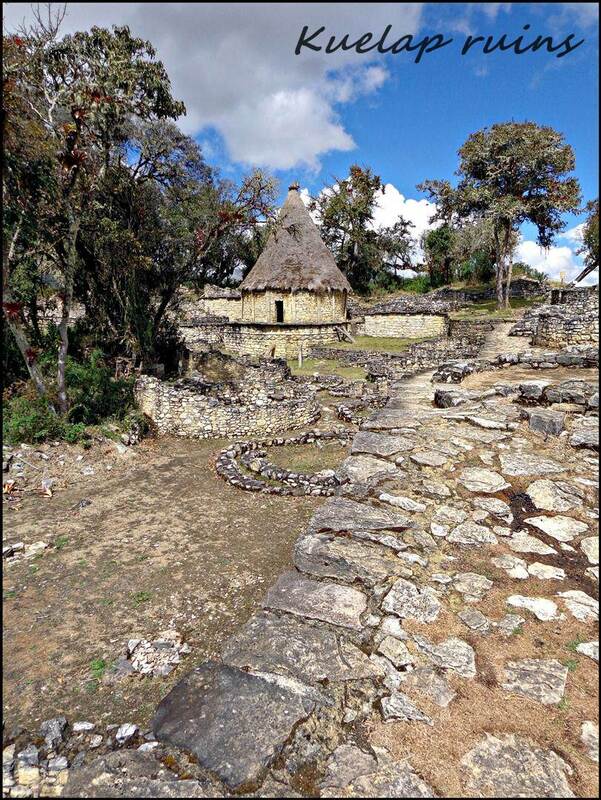 We take our hat off to the ancient civilization (still not the Incas) for their spectacular location and the intricacy of the buildings, but however hard we try ruins just cannot do for us what it can for an anthropologist. We therefore decided, accepting the risk of forever being banned from all South American traveler clubs, to give Machu Picchu a skip. 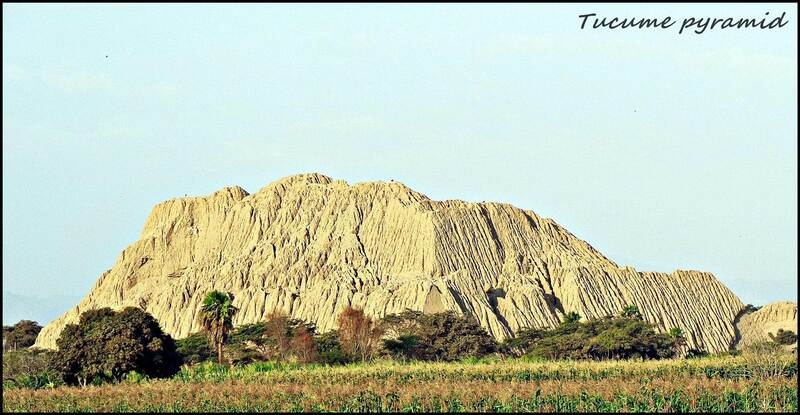 (It’s been a months since our decision, and we still have no regrets) Following the stacked rocks, we drove from Kuelap to Balsas on a road that was as beautiful as it was scary. 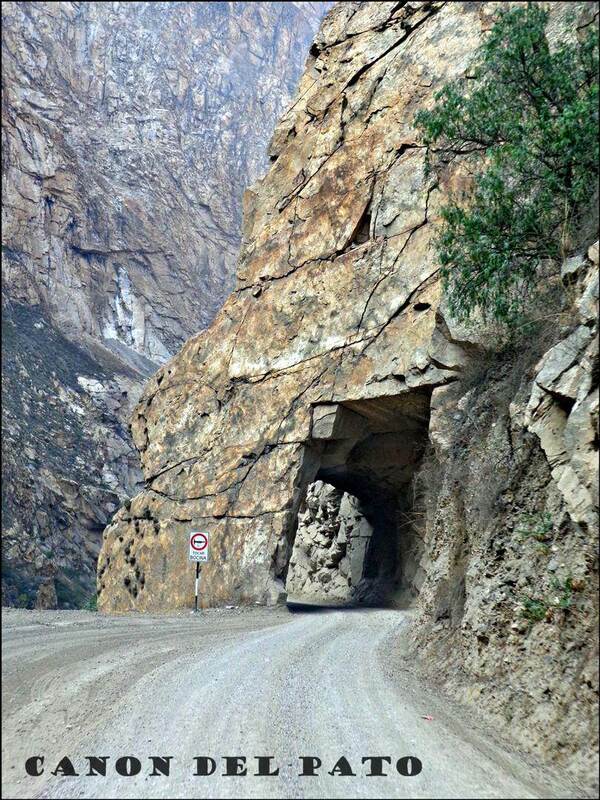 Hugging mountains for hundreds of kilometers, this single lane road (recently paved unfortunately) has few sections where the tires weren’t a mere 30 cm from the edge of a vertical cliff. 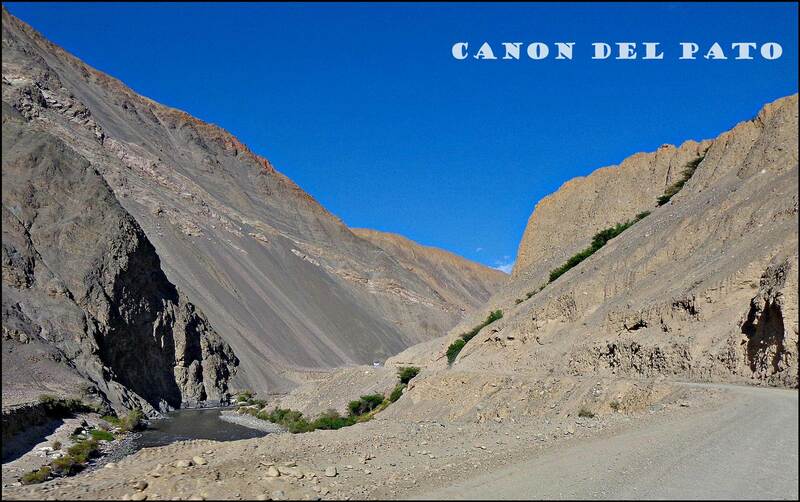 It was another one of those spectacular roads that we happened to find definitely recommendable to any traveler. 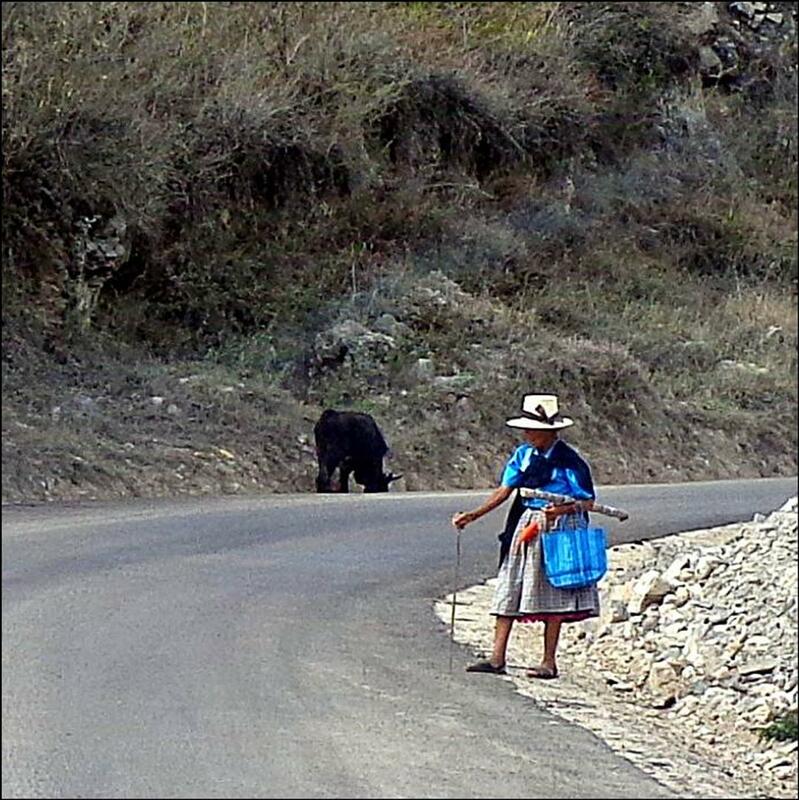 Although it is possible to drive south from the northern highlands to the Andes range called the Cordillera Blanca, we hit some road works which only allowed travel at night and so decided to take the more traveled road to the coastal town of Trujillo and then back inland toward the Andes. 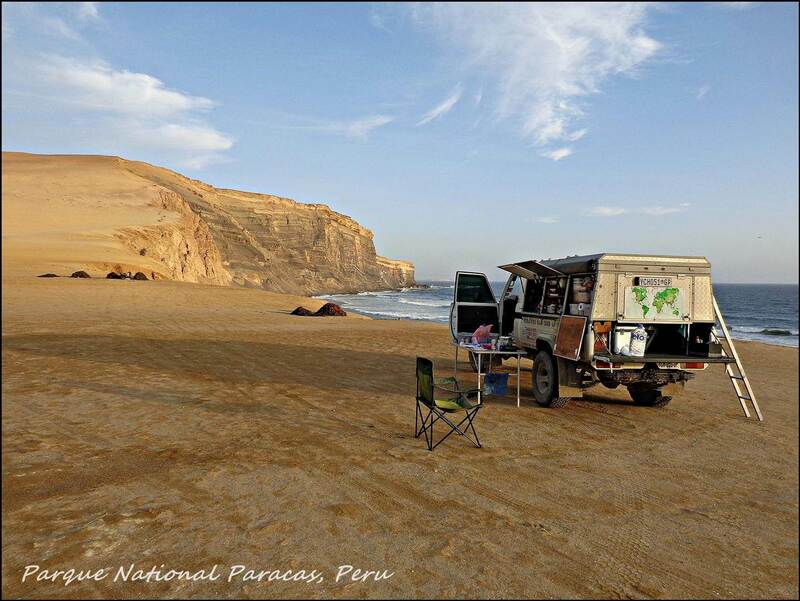 We stayed in the coastal town of Huanchaco in a Hotel campsite where we literally had to beg the owner to allow one more “campervan” in his grassy area by a pool. We’re sure the ocean must have been something to see, but between the freezing temperatures we experienced from 15h00 in the afternoon and a little parasite known as an Amoeba, we never really venture into the touristy areas. 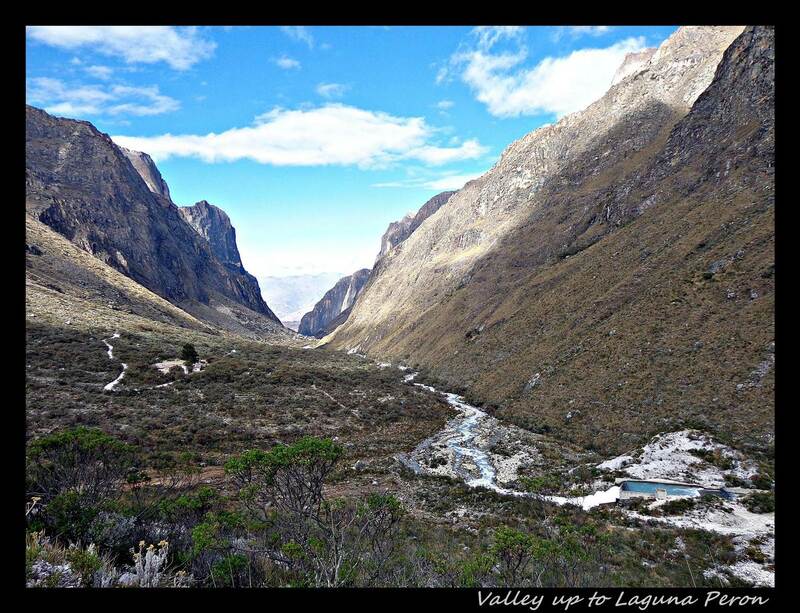 We had our bi-monthly cleaning ritual and set off toward the Cordillera Blanca for more high altitudes. 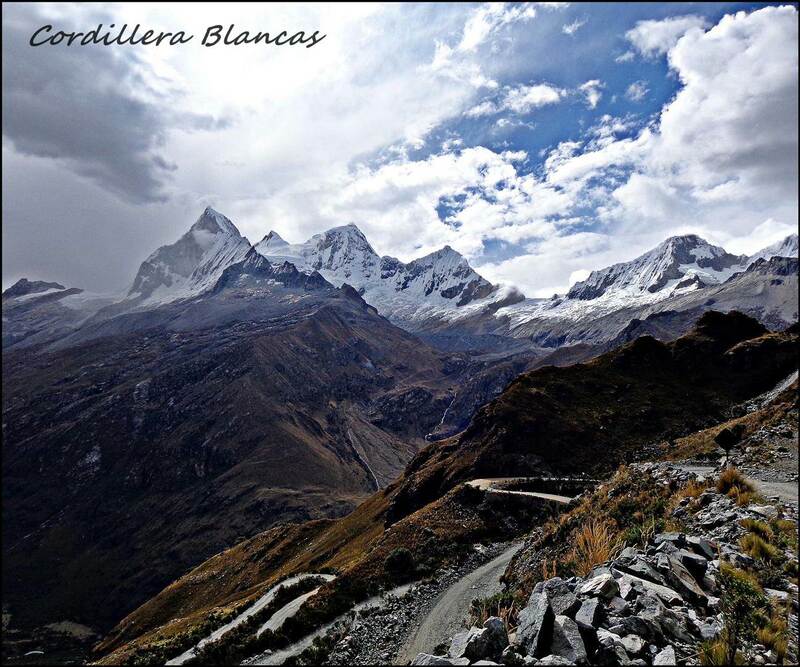 The road to the Cordillera Blanca winds its way through the Canon del Pato (Duck’s canyon) which has separates the Cordillera Blanca and Cordillera Negra . 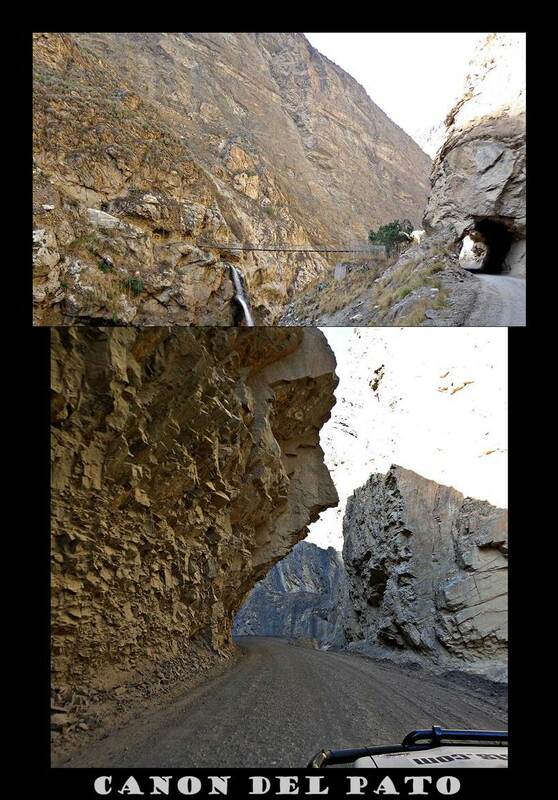 In some parts these mountain ranges come within 15m of one another and as the road ascends up passes through no less than35 hand-cut tunnels. 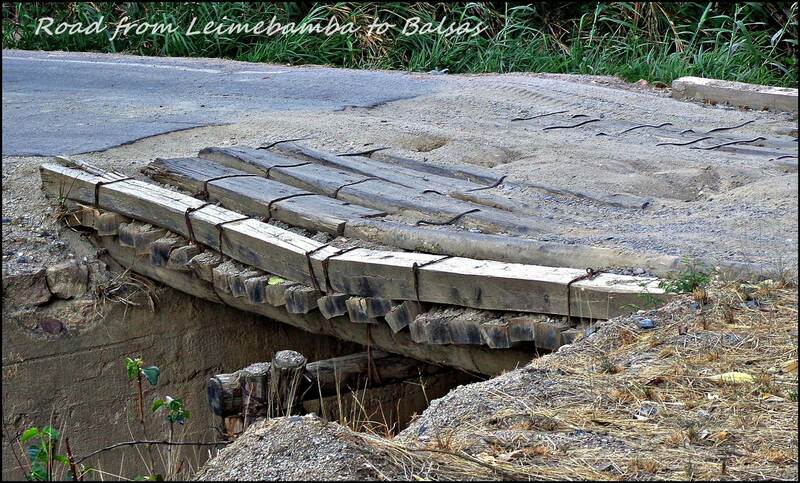 There’s no doubt that these guys were intent on building a road! It was a gravel road and there’s no explaining the amount of dust we accumulated there, but it was gorgeous. 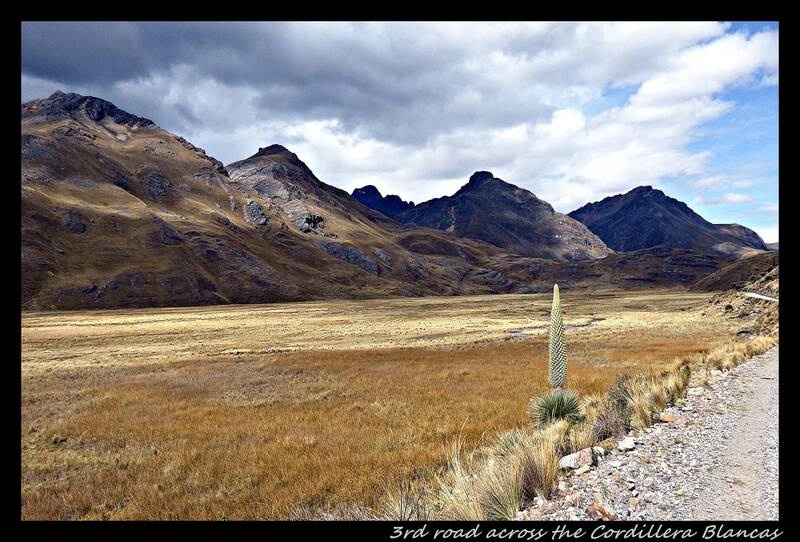 Nothing could quite prepare us for the sight of the Cordilleras the next day. 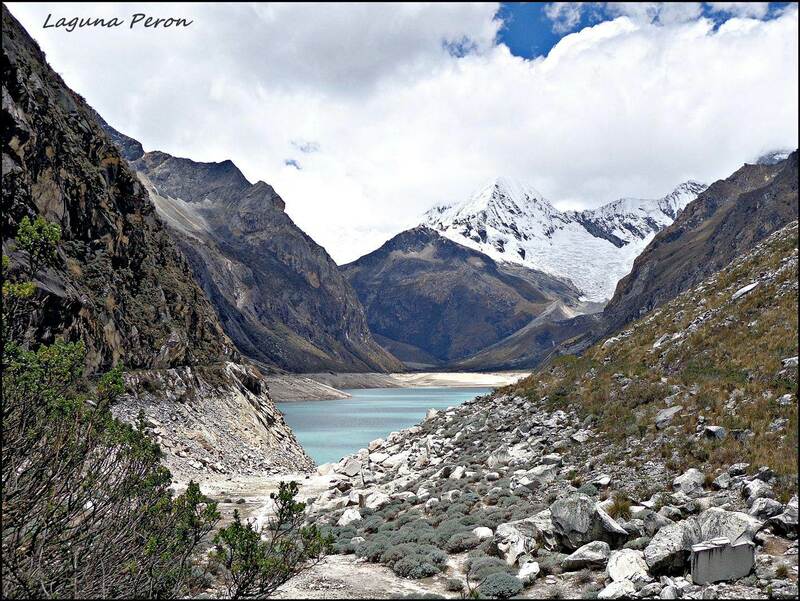 There are four roads that you can drive into the Cordillera Blanca, three of these roads pass over to the other side of the mountain whilst one of them dead-ends at a gorgeous lake known as Laguna Peron. 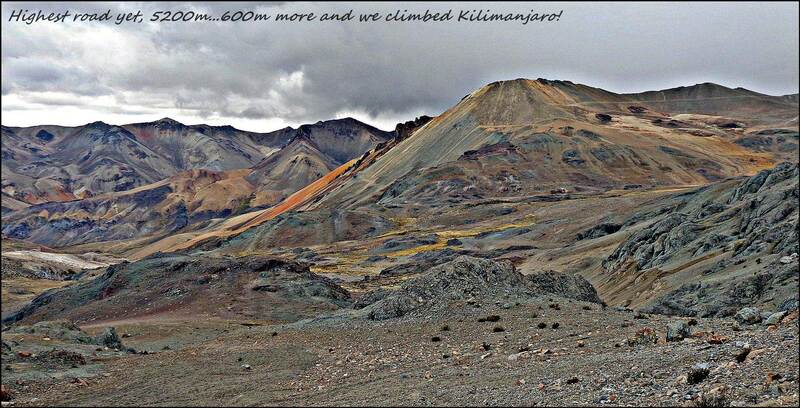 A rough climb up to 4200m brings you to a sight that takes your breath away for more reason than the high altitude. The pastel-blue lake surrounded by snow-covered peaks around 5800m high seems to come to its full glory when the sun finds its way past all clouds and we were lucky to have a few of those moments. We descended to 3800m to sleep easier before we headed back down the mountain from where we could take the second route into the mountains. 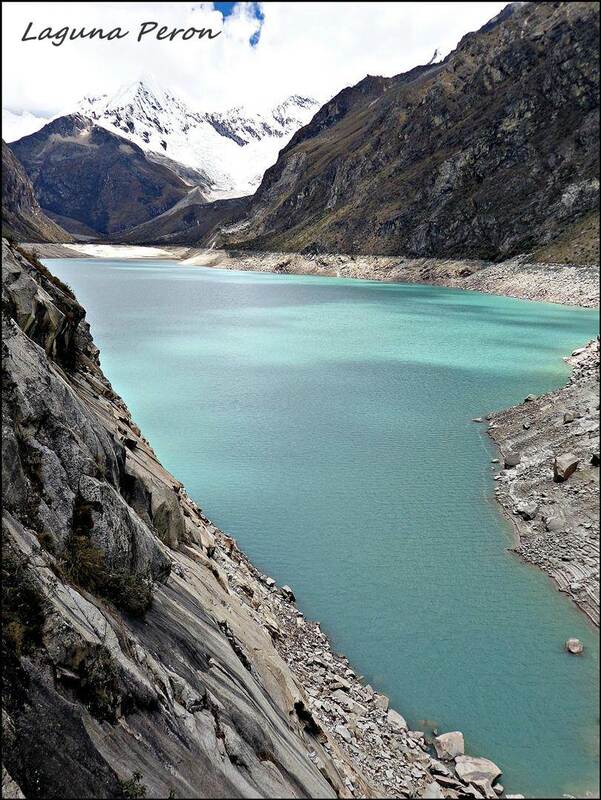 The second dirt road also winds its way up the side of the Cordillera to Lagunas Llanganuco, two pristine lakes that glow with their turquoise hues however did not compare to Laguna Peron. After the lakes, switchbacks climb a steep mountainside offering new views of the lakes in the valley below around every corner. 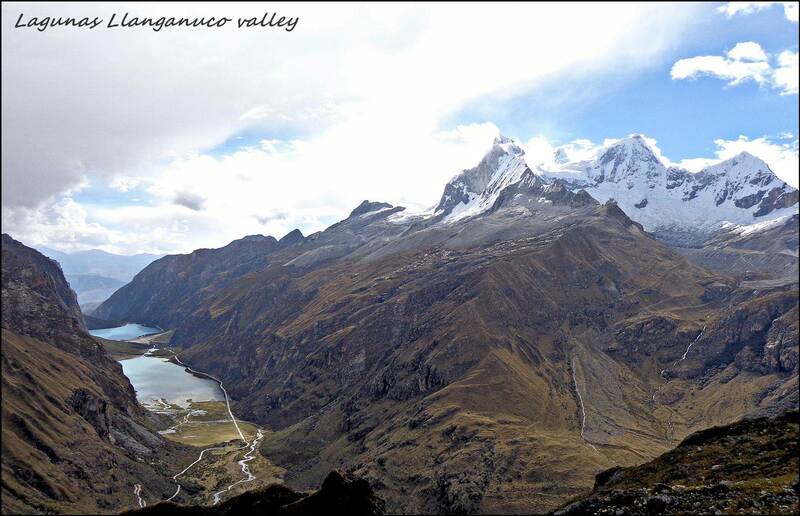 It was cloudy and rainy when we started our ascend, but by the time we got to the top, we had beautiful views of the highest peaks in Peru (up to 6900m) against a semi-clear sky. It was one of the top ten views of the trip. 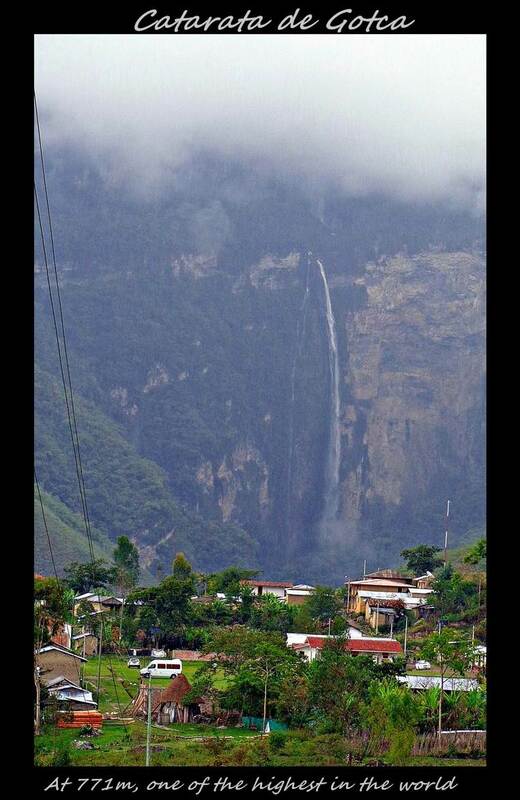 On the other side of the Cordillera, it seemed like the modern world had ceased to exist. 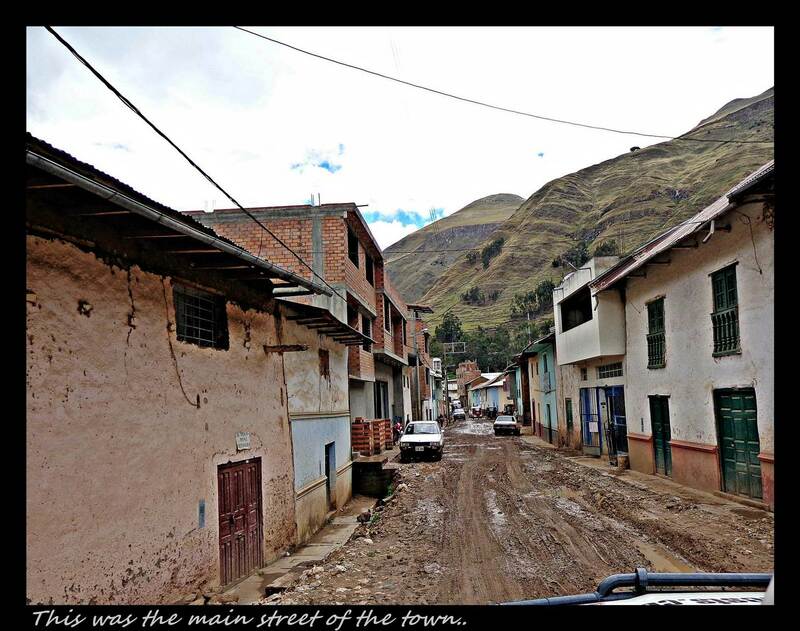 There were virtually no cars and the towns seemed like something from a century ago. The people wore traditional clothes, even more so than in the northern highlands, and it seemed that some spent their days lazing on the porch while the rest tended to livestock. It was a long way from everything and the condition of the roads made it feel more so. 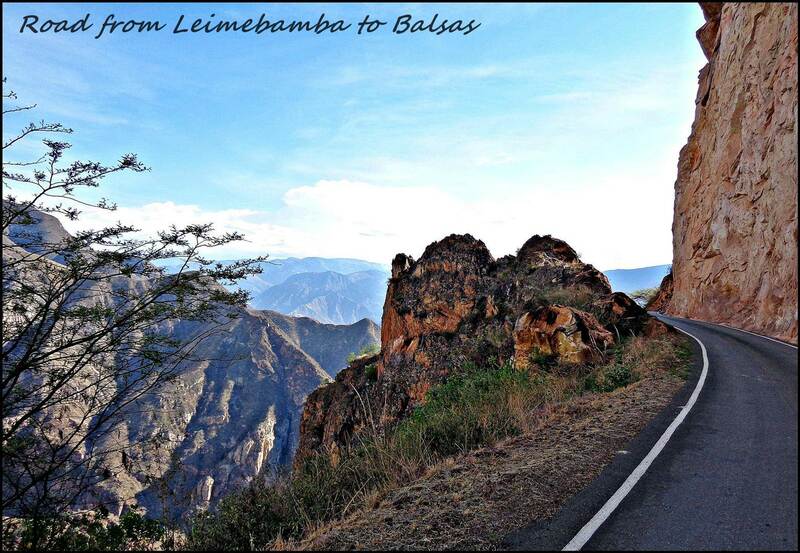 We drove south on this side of the Cordillera before we crossed back to the touristy side via the third road which was paved all the way. 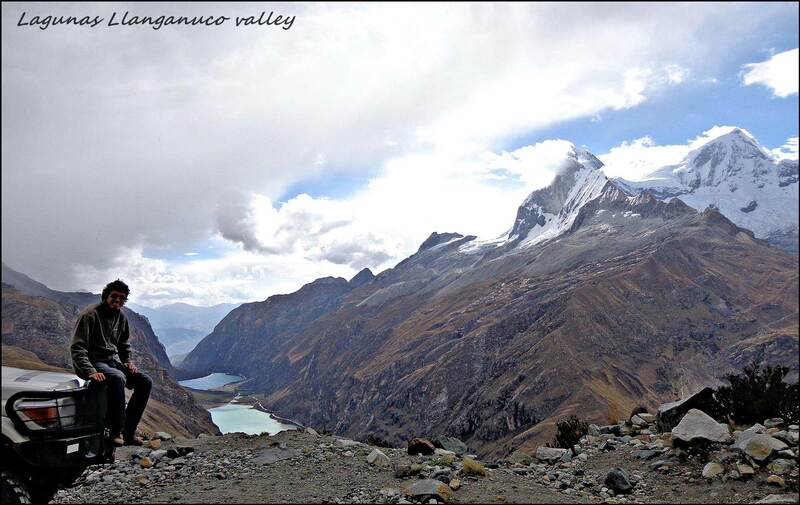 The fourth and final road crossed over the most southern part of the Cordillera Blanca and allows access to the less visited and undeveloped Cordillera Huayhaush further to the south. 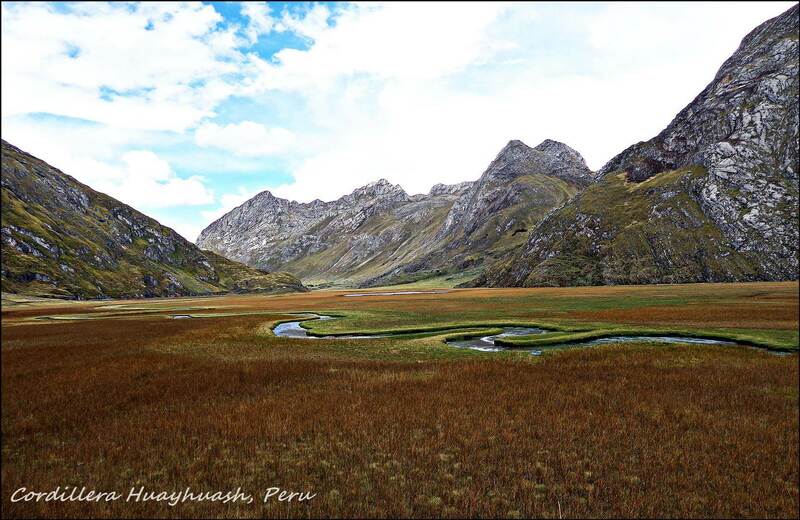 Similar to the Cordillera Blanca, Huayhaush is best explored by foot, but we opted for the only road that passes close enough to see most of the lakes and mountain peaks. The going was slow but the views pretty special, it seemed a place truly removed from modern life. 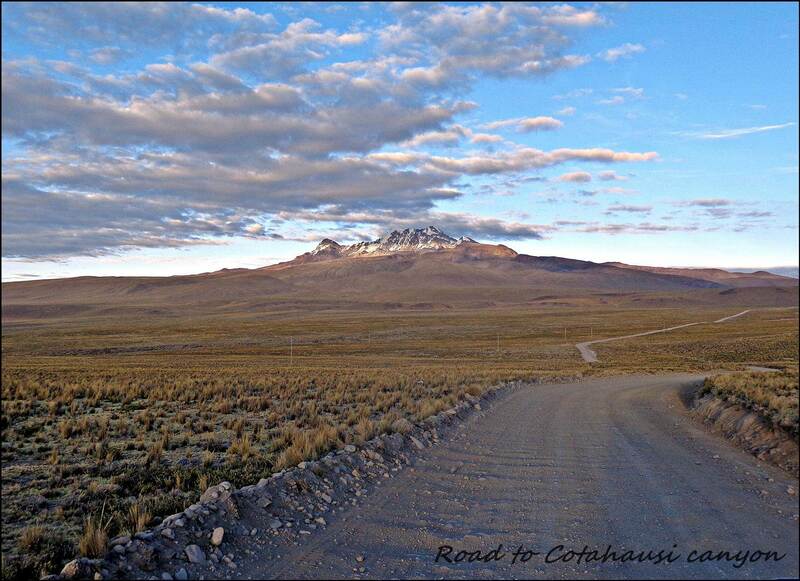 A long road down brought us to the Panamericana and right back into the modern day and age. 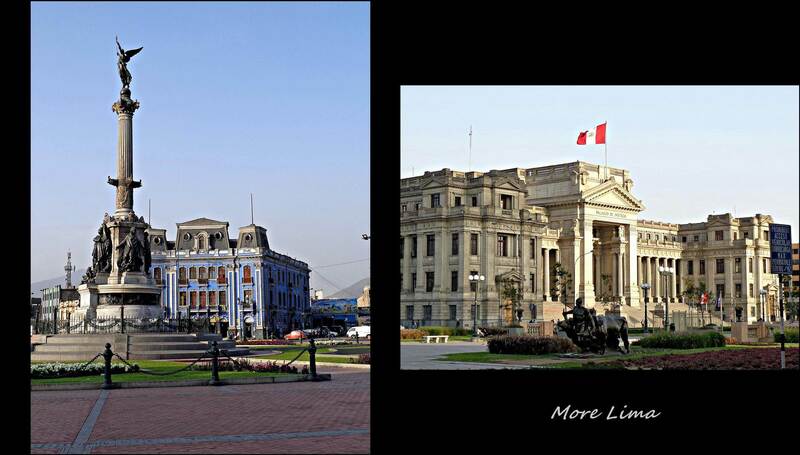 Soon we drove into Peru’s capital, Lima, where we couldn’t imagine the isolation of the previous day. It had very stately colonial buildings and was fairly easy to navigate (for a city). 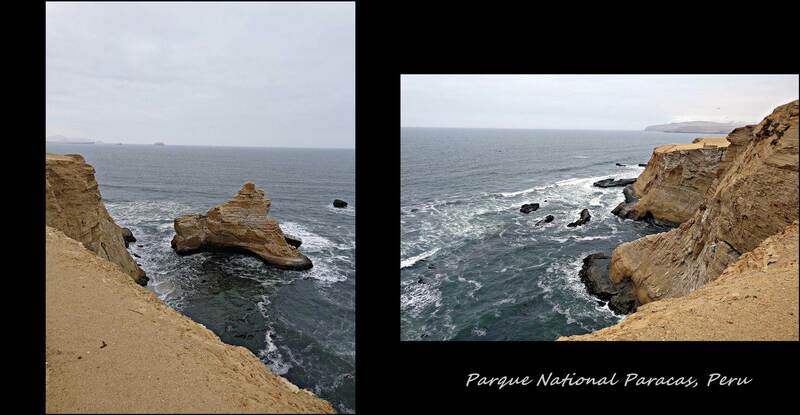 We got in and out within a day and drove further south to the Paracas National Park which sits on the Pacific ocean. 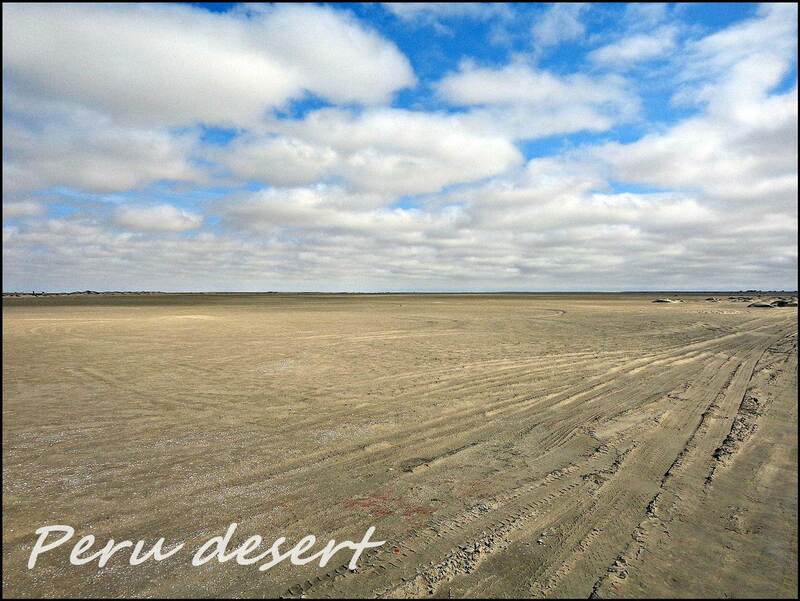 More geared toward the ocean life surrounding park, the park is manly occupied by vast desert with few to no vegetation in most areas. 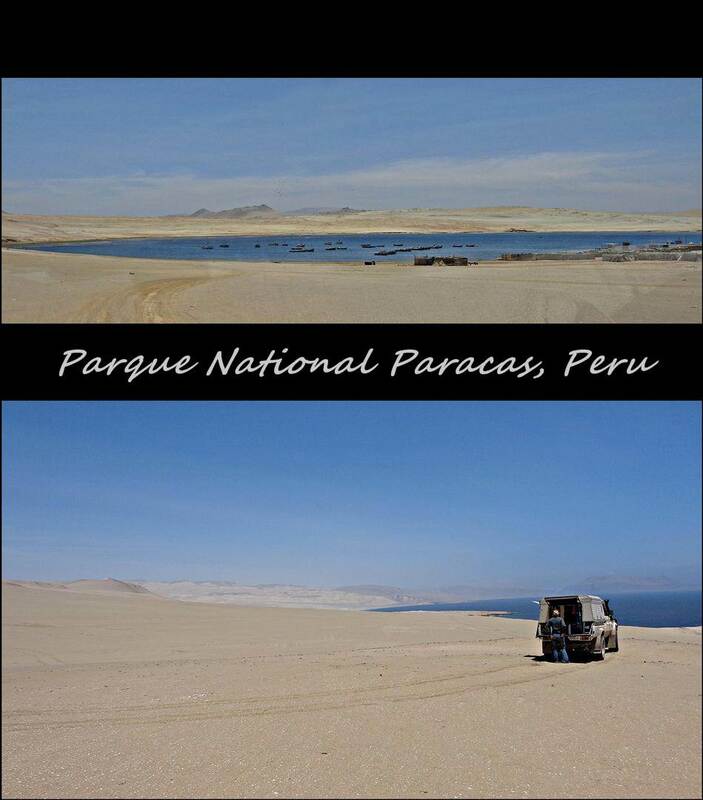 The Paracas peninsula use to be home to a little known ancient culture (still not the Incas) from about 500BC to 200AD. 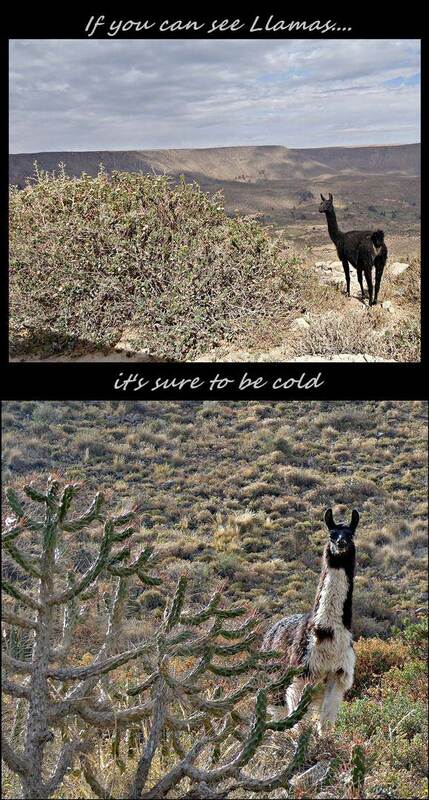 How they survived in this harsh climate is a mystery as Marius and I could not even find a shrub to go to the loo behind! It was beautiful and desolate and the wind pretty much blew us away until just after sunset when the stars came out in their thousands. 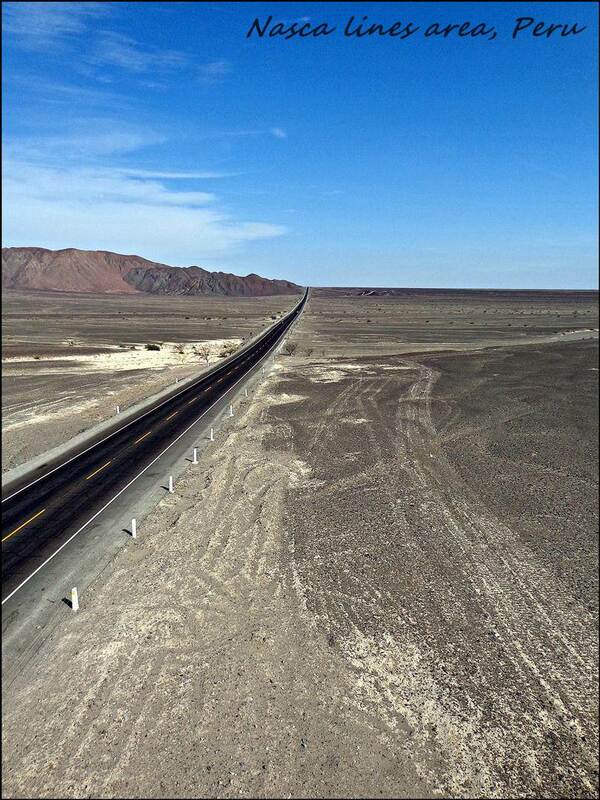 Further south the Panamericana heads inland and passes the famous Nasca lines. 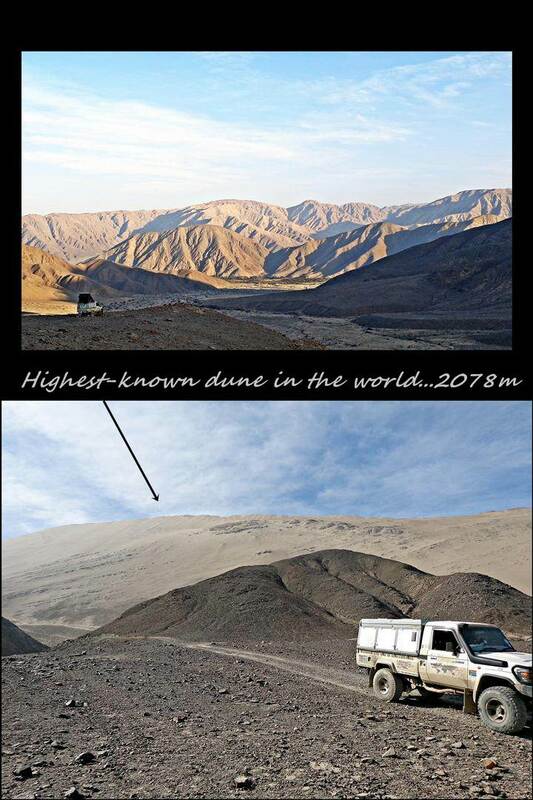 Another ancient civilization (nope, not the Incas), distinct from those found along the coast, lived in this dry area and was likely responsible for this world famous archeological mysteries. 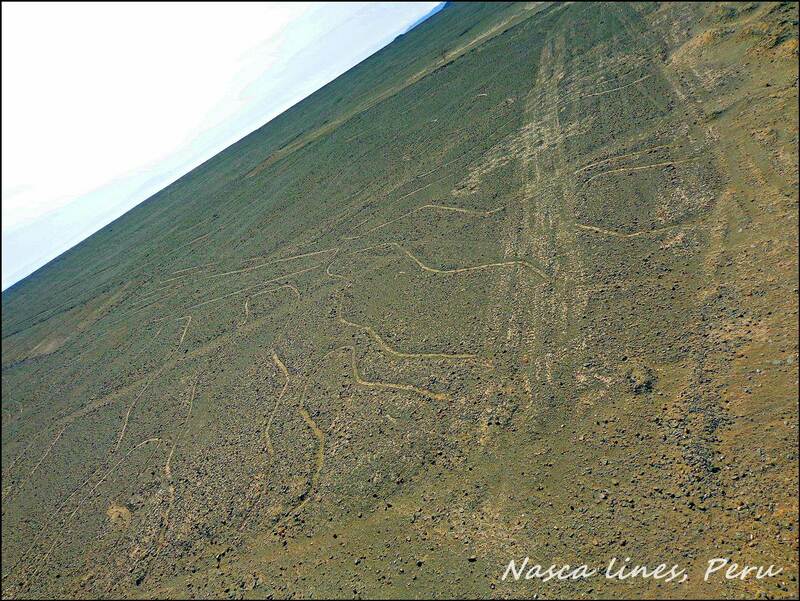 Spread over 500sq km and consisting of 800 straight lines, 300 geometric figures and 70 animal and plant drawings, these lines were made by removing the dark sun-baked stones from the surface and exposing the ‘gypsym-laden’ lighter soil below. At ground level and even using the 10m high mirador however, they are pretty much imperceptible and the only true way to see them would be to take a flight over in a small aircraft. Many people have studied these lines and still only theories exist about their meaning and purpose. 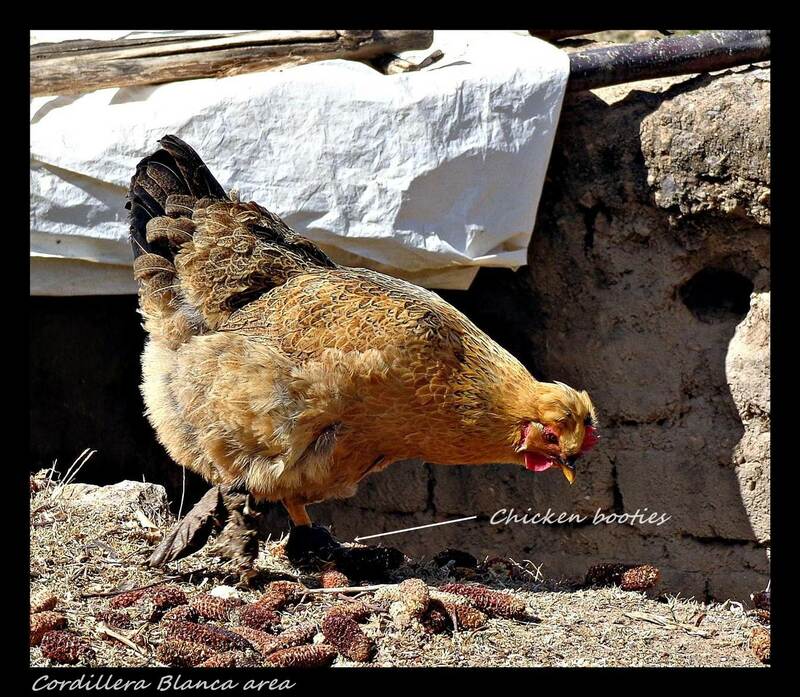 Long-time researcher, Maria Reiche, theorized that they were made by the Paracas and Nasca cultures between 900BC and AD 600 and that it was developed for agricultural purposes using sophisticated mathematics and a long rope. The handful of alignments between the sun, moon and the lines didn’t seem to convince the rest of the world. Many others have put their theories forth; One guy hypothesized that it was walkways linking ceremonial sites, another that is was a giant running track, another that it was dedicated to water worship and then of course there would be the UFO’s fanatics that claimed it was intended as extraterrestrial landing sites! 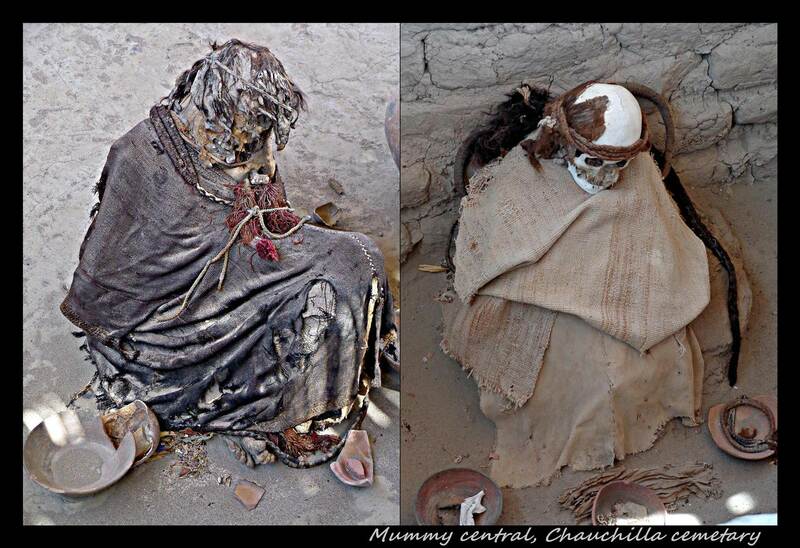 Just 27km south of the Nasca lines, an Ica-Chinca culture cemeteries lies scattered across the desert landscape. 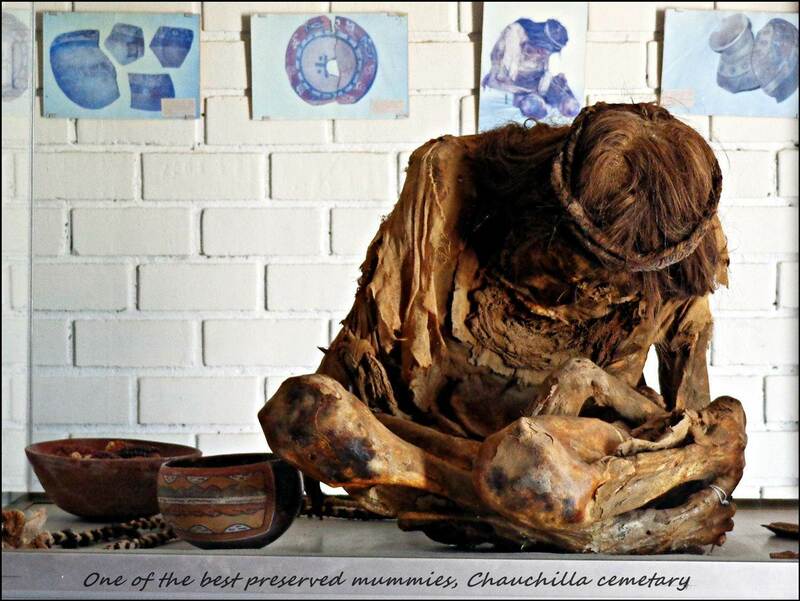 Although most graves have been opened and looted by graverobbers, the mummies of this Chauchilla cemetery dates back to AD1000, but so perfectly preserved because of the desert climate, that even the endless lengths of braided hair has not been bleached by the sun and lies twirled around the contorted bodies. 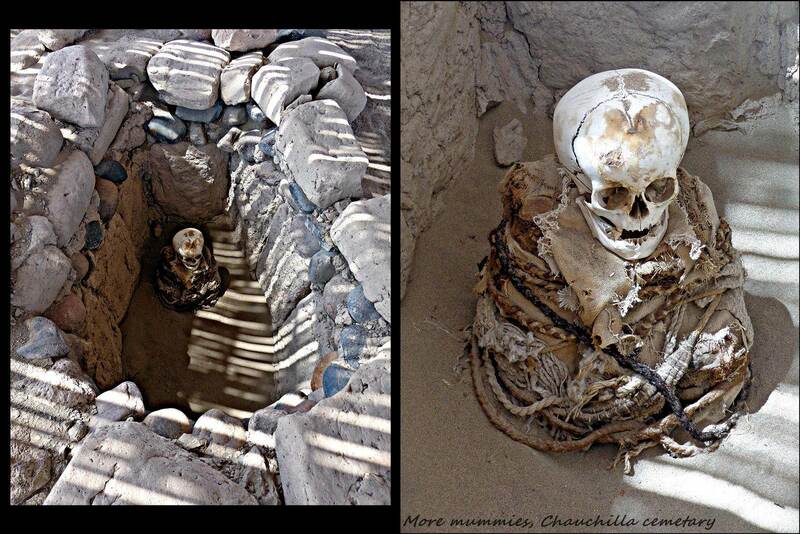 We’re not sure if they were placed in the seated position or if this was the actual burial posture, but seeing these ancient peoples sitting upright and staring right back at you is a little eerie. Most of them still had teeth and in some cases the mummified skin could still be seen wrapping the metacarpal bones of their feet. 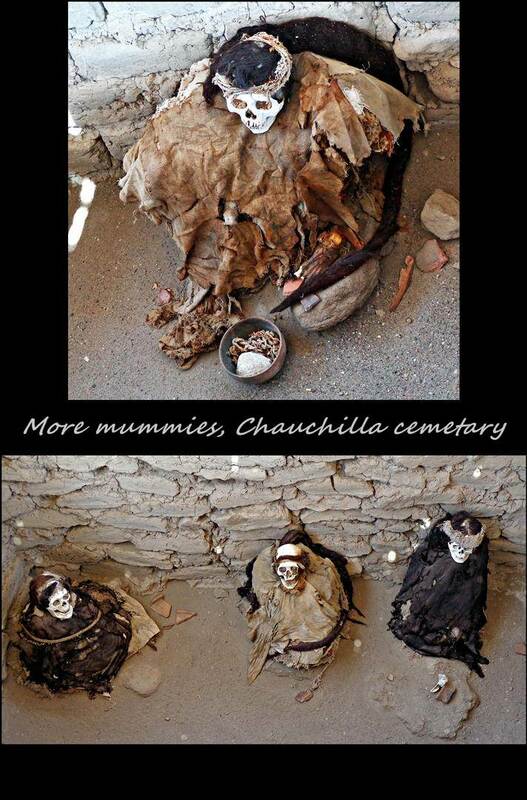 Two or three mummies in particularly good condition were moved to a small museum building where toenails and fingers could still be distinguished. One man had a small fabric pouch probably found next that held, among others, some sort of object resembling a comb. Ashes to ashes, dust to dust. Following the necropolis, a long, straight, dry road offering beautiful pacific ocean views stretched out for 100s of kilometers. 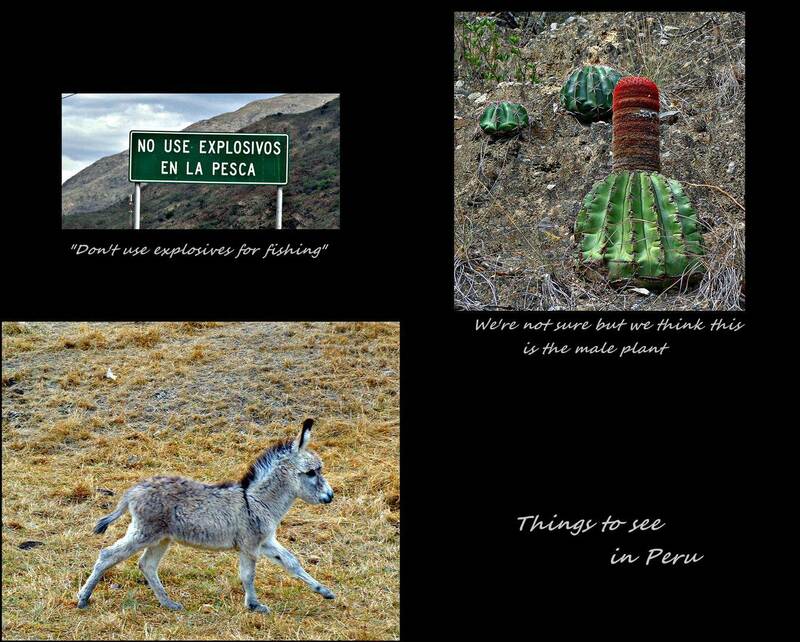 A pit stop halfway to our destination called Puerto Inca was a welcome oasis in the middle of nowhere. 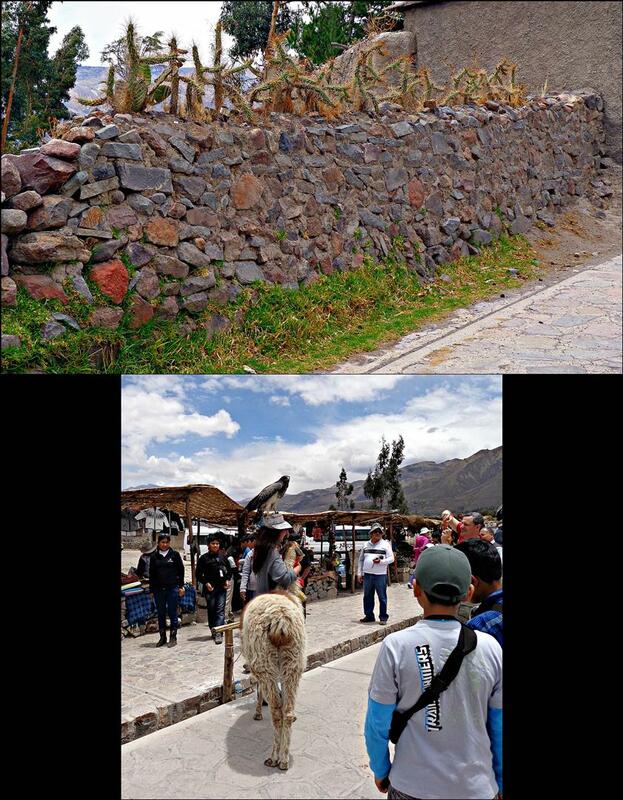 It was here that we finally met the infamous Inca culture. 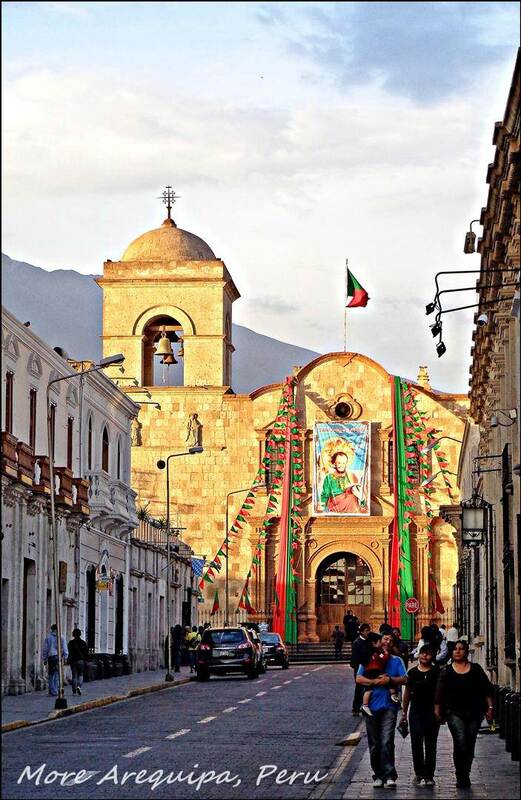 Functioning as the main port for Cuzco, the capital of the Inca culture, fresh fish was sent from here all the way to the capital by runners. 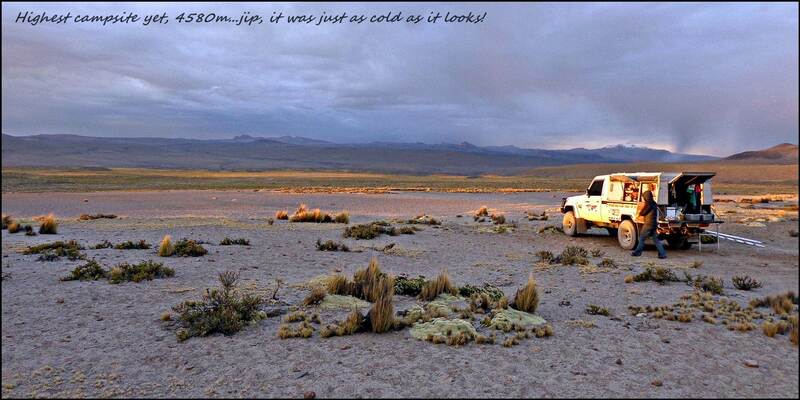 Jip, poor Inca common-folk ran 360km (as the crow flies), over Andes peaks measuring between 4000 and 6000m (likely increasing the distance to an estimated 450km), just so that the Inca VIPs could have some sushi! They made holes in the limestone rocks near the shore which they used as a temporary storage of the fish before running it up the mountain. At least they had a beautiful, warm bay to laze away the days they were not running. So finally we had our first encounter with the mighty Incas, but reading their story painted a rather different picture of the ancient culture that built the greatest monuments and ruled the pre-Spanish South Americas. The Inca empire only begun after AD 1400 and so had only been around for a mere century before it was brutally cut short by the arrival of the Spanish. 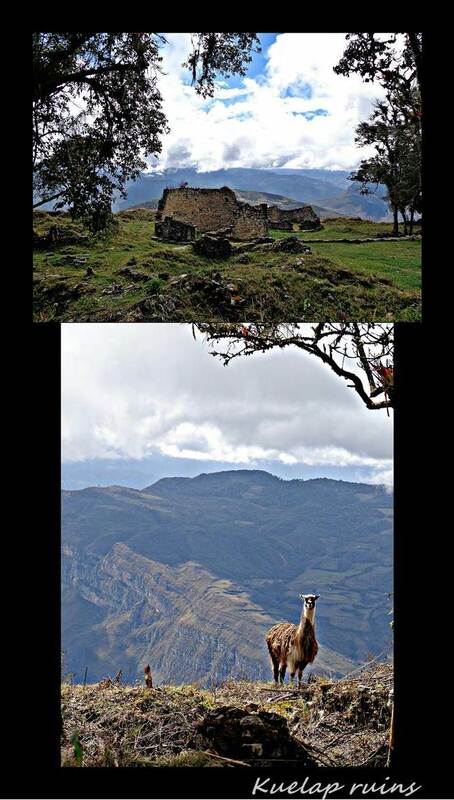 Furthermore, the Incas liked to retell the history to downplay the achievements of the countless other civilization that not only predated them by 1200 years but was responsible for much of the indigenous culture associated with Peru. 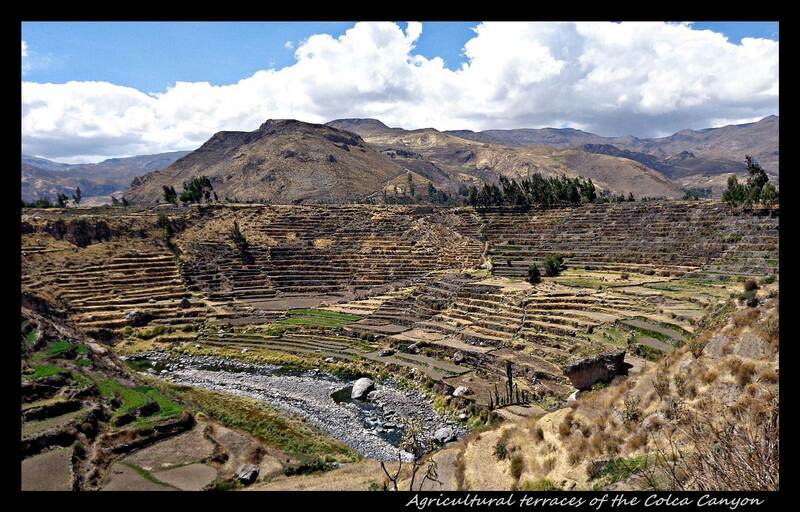 The Inca history starts with small tribes dotted around the Cuzco area in the mid 1430 under the reign of emperor Viracocha and his son Inca Urcon. Around 1438, Chanka, a rival tribe to the north, attacked the Incas and resulted in both the leaders fleeing for their lives. 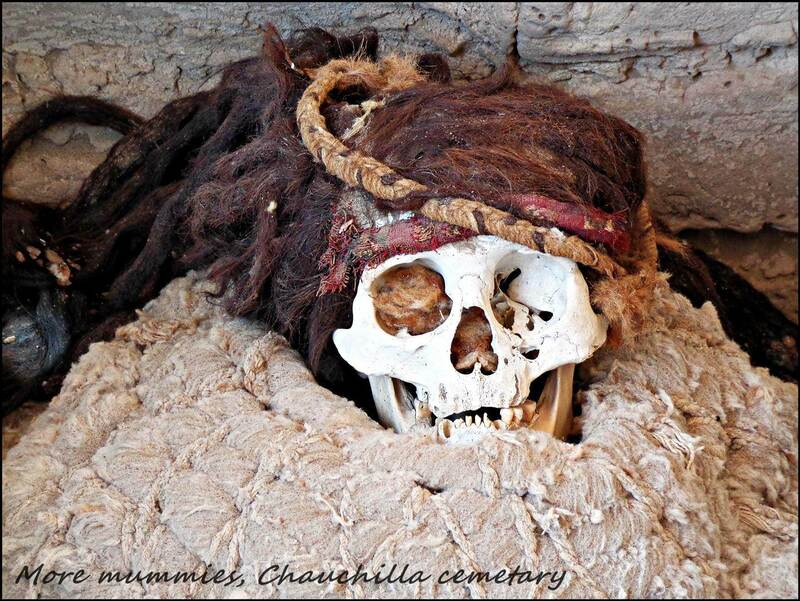 Meanwhile Viracocha’s second son, Inca Yupanqui along with a small band of captains managed to defeat the enemy with help, so it is said, from the very stones of Cuzco which rose from the ground to fight alongside them. He felt so great about his conquer that he subsequently adopted the name Pachacutec which means “Transformer of the Earth” and true to his new name embarked on an ambitious program of conquests in the surrounding area. During his reign between 1438 and 1471 he conquered almost geographically uncomprehendable regions which include Bolivia, Lake Titicaca, Equador and even Colombia, finally culminating in the whole chain of the Andes (some 3000miles) from Colombia to Chile under his control. 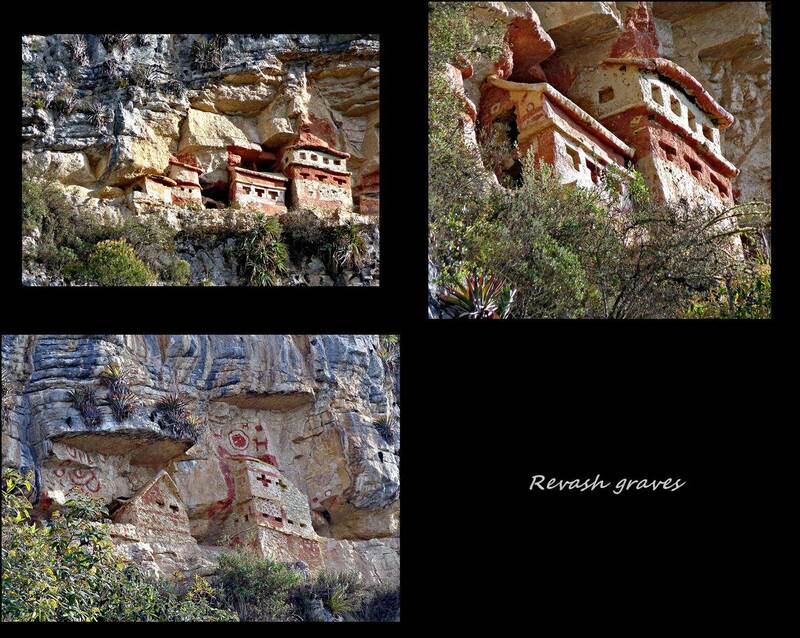 Pachacutec not only put the Incas on the map with regards to land ownership, he set out to build numerous sacred temples as gratitude for the help the rocks has given him in his victory as well as a number of impressive stone monuments and roads across the continent. 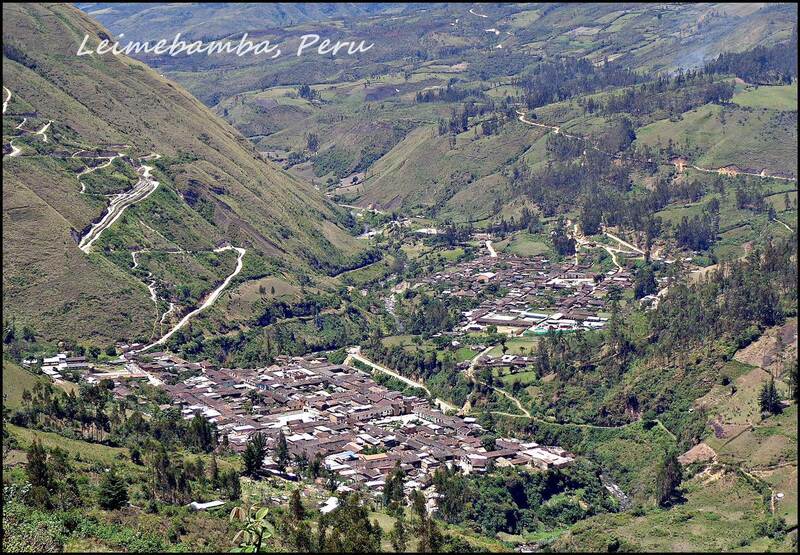 While Pachacutec was furthering his sovereignty in Cuzco, his son Tupac Yupanqui began the expansion into the northern ranges of Ecuador. The warm climate, fertile land, exotic desirables such as sea shells and local girls seemed to make such an impression on the Incas that successive emperors spent more and more time there campaigning. 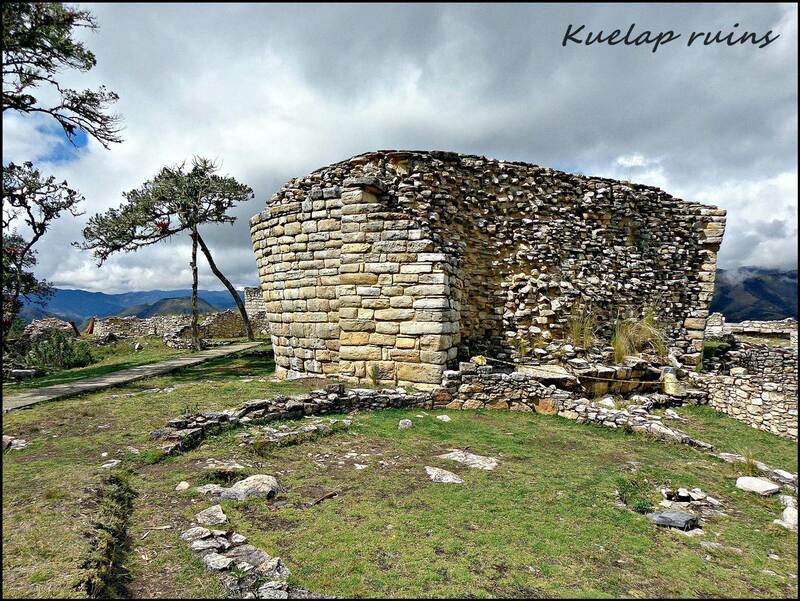 During these campaigns, Tupac Yupanqui founded the city of Cuenca and fathered the future emperor, Huayna Capac. Huayna Capac unfortunately preferred his birthplace to the Inca capital of Cuzco and some believe that in hindsight the expansion into Ecuador may have just been too far resulting in the subsequent Empire split. Interestingly, Huyna Capac also seemed to have inherited his grandfather’s above human abilities and high self-esteem and upon questioning as to why he was able to drink three times more than his subjects without getting intoxicated, he replied that “he drank for the poor, of whom he supported many”. 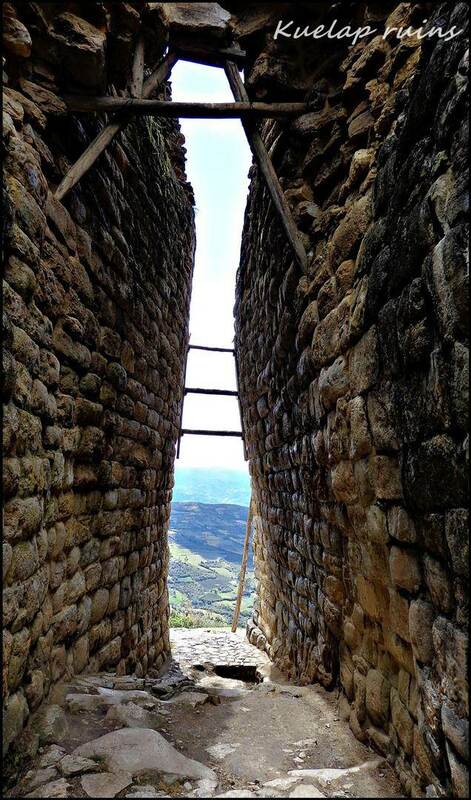 By 1527 the cracks in the Inca empire started to show: a fatal epidemic killed at least half the population including emperor Huayna Cupac resulting in a split between Huayna’s two sons, Atahualpa and Huascar. 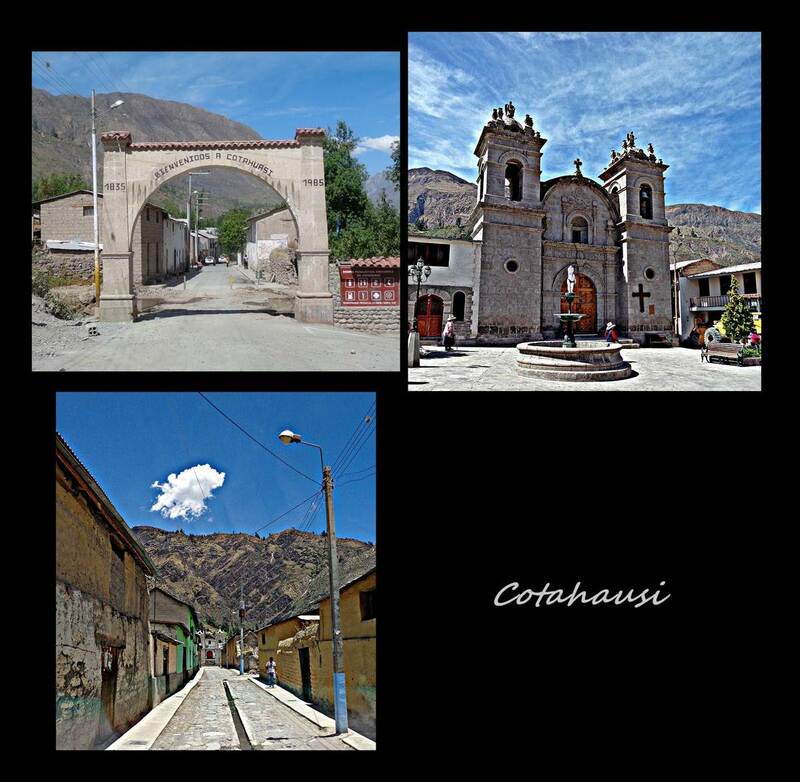 A devastating civil war commenced between the Ecuadorian backed Atahualpa and his brother Huascar which had the resources of Cuzco behind him. The country was laid to waste and by 1532, the Spanish simply walked in and took over the empire. There were some resistance from Atahualpa after he had killed his brother Huascar, the Spanish quickly took charge with their superior weapons and psychological advantage of horses. 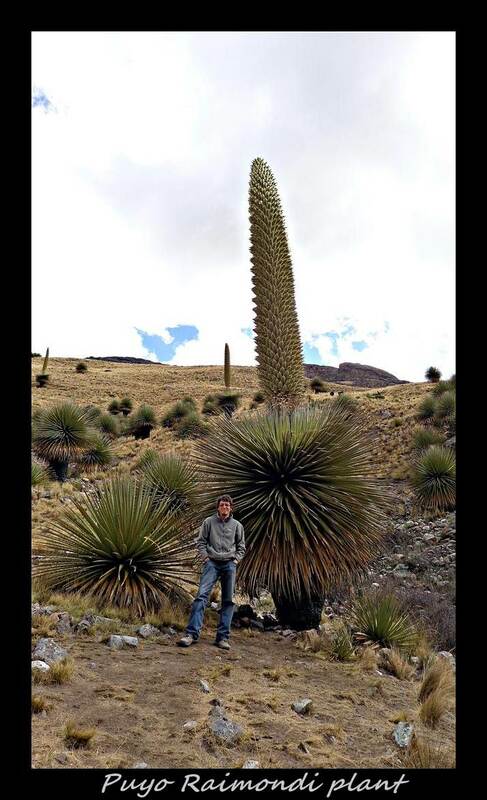 They made the fatal flaw of appointing a puppet emperor, a half-brother of Atahualpa and Huascar called Manco. After a short period of obedience, Manco revolted calling troops from all around. The Spanish were caught by surprise and the Incas came remarkable close to finishing the Spanish off, but a horseman with a sword was still worth four indigenous archers on foot. In the end Manco was forced to retreat, leading his men to the north where his successor held out to the Spanish for another 40 years. 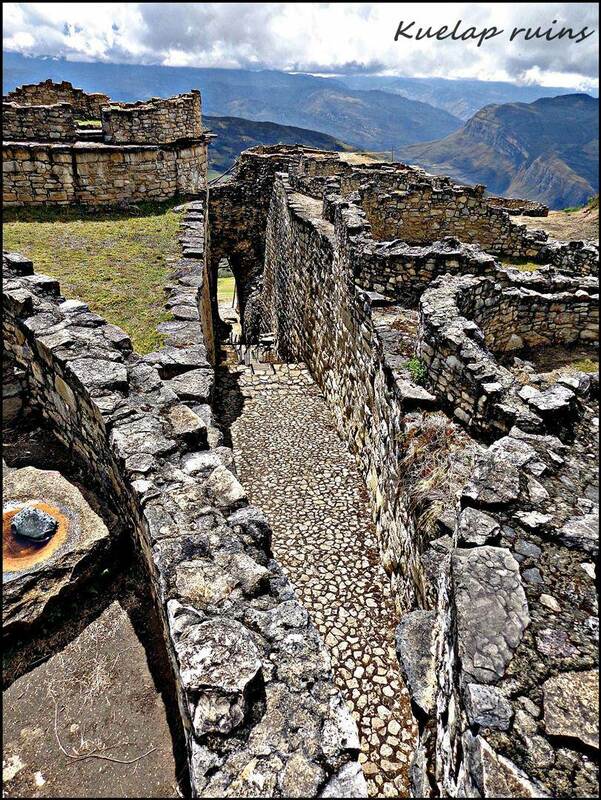 As for the infamous ruins of Machu Picchu, very little is known of the origin or function of this elaborate citadel. 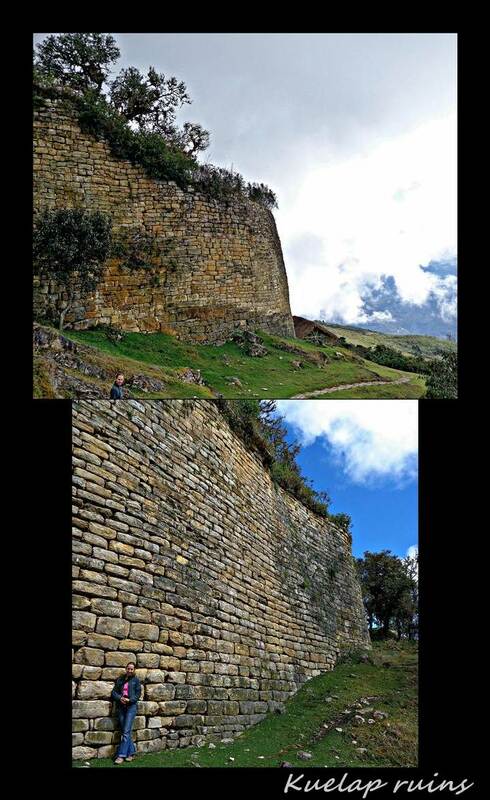 Some believe that it was built in the waning years of the Incas as a means to re-establish dominance or to preserve the culture whilst others suggest that the city had already become uninhabited by the time of the conquest. 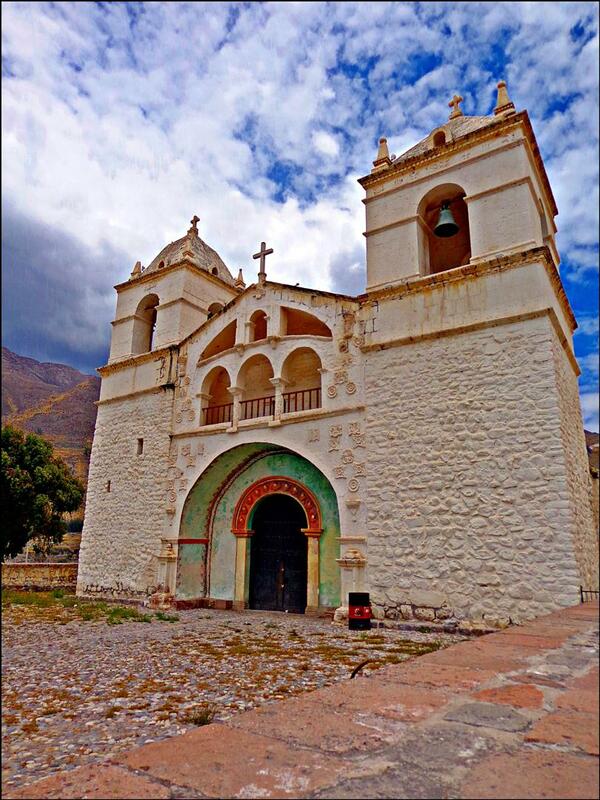 A romantic version of the story suggest that it may have been some sort of mountain retreat for the Inca emperors. 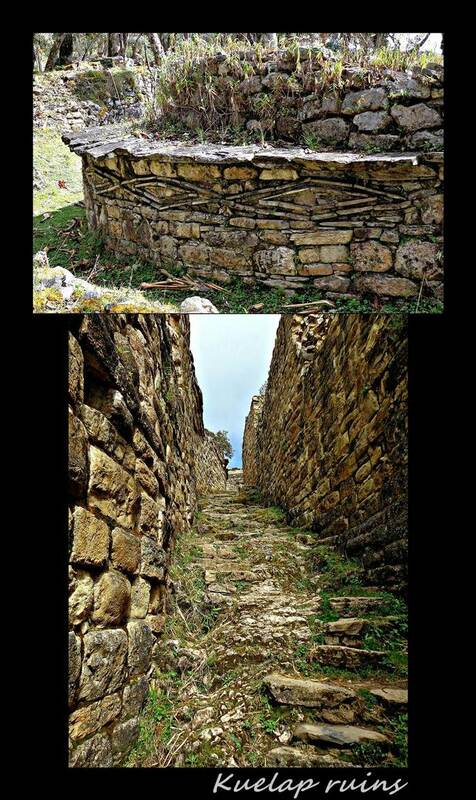 Whatever the story, it does remain one of the most beautiful ruins in the Americas and forever place the ancient Inca culture in the limelight. 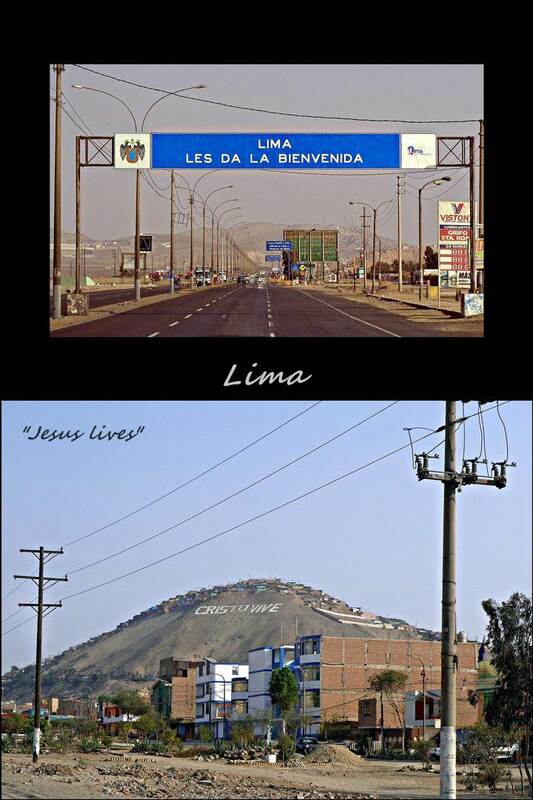 So is the legacy of the Incas. 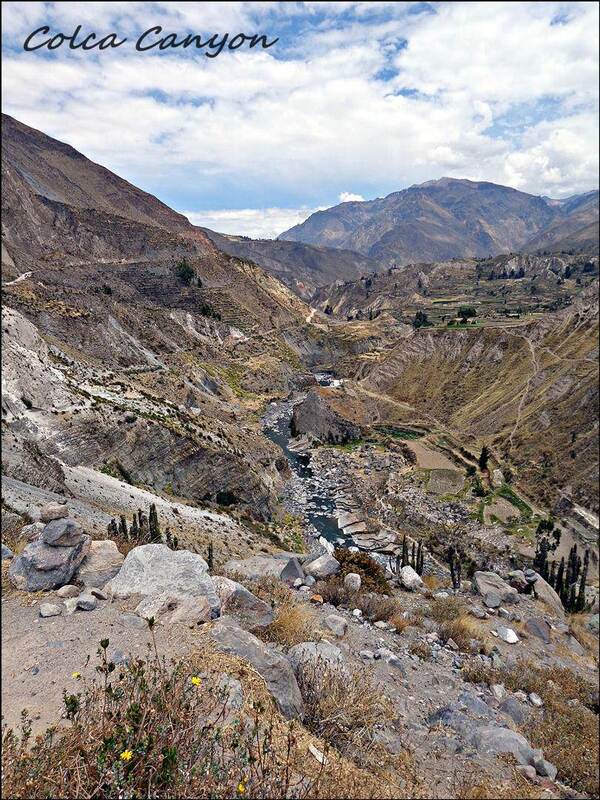 Putting all that history behind us, we headed inland toward Peru’s canyon country. 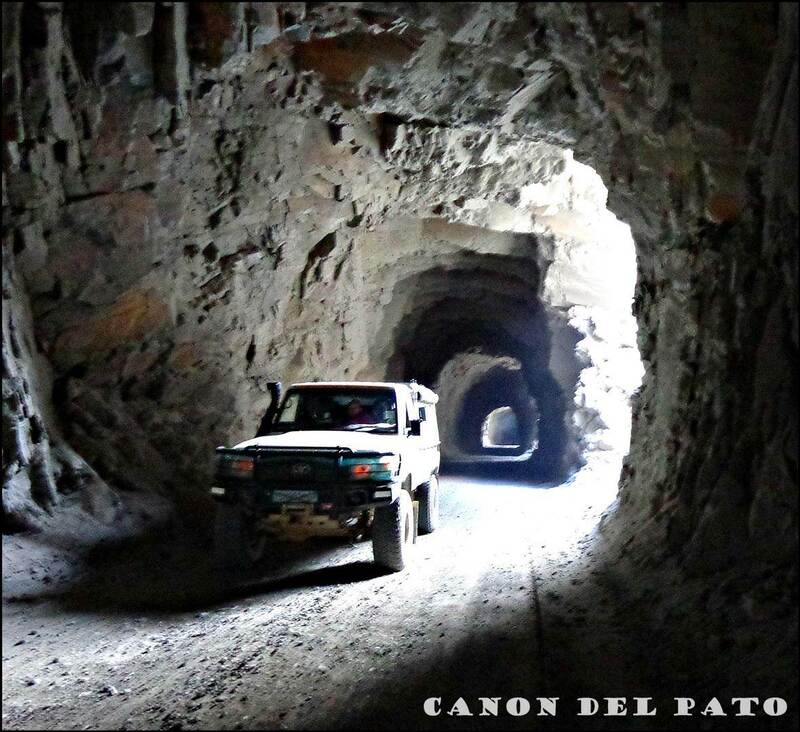 With claims like the deepest and second deepest canyon in the world, twice as deep as the Grand canyon in the USA, how could you not drive an enormous detour. 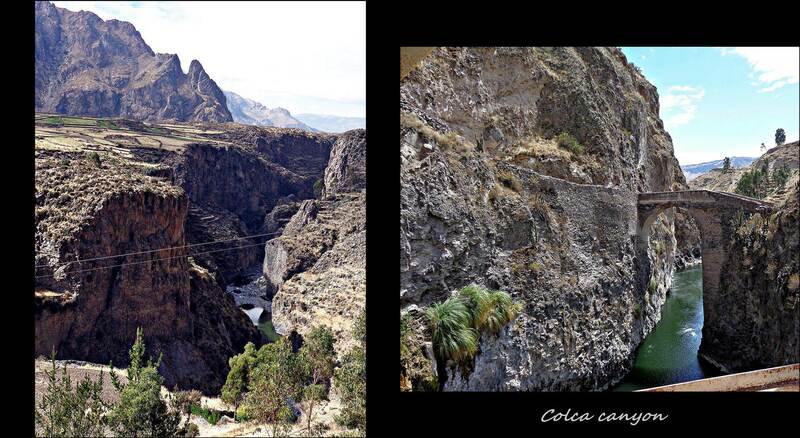 The more touristy,second-deepest (3191m) Colca canyon is accesable via (mostly) asphalt road,while the deeper Cotahausi canyon (3345m) is a very different story. 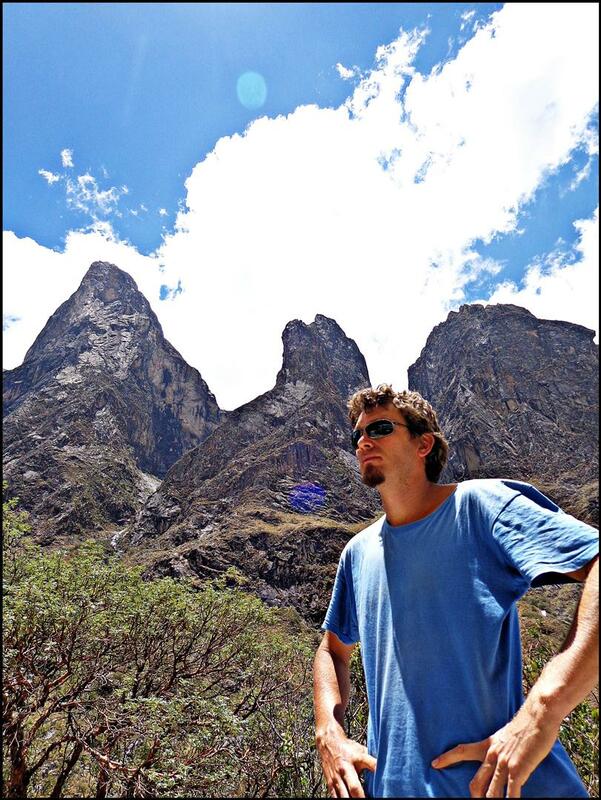 Two days , a handful of mountain passes over 4000m, countless llamas and the highest campsite yet leading to the longest night ever, brought us to the Cotahausi canyon. 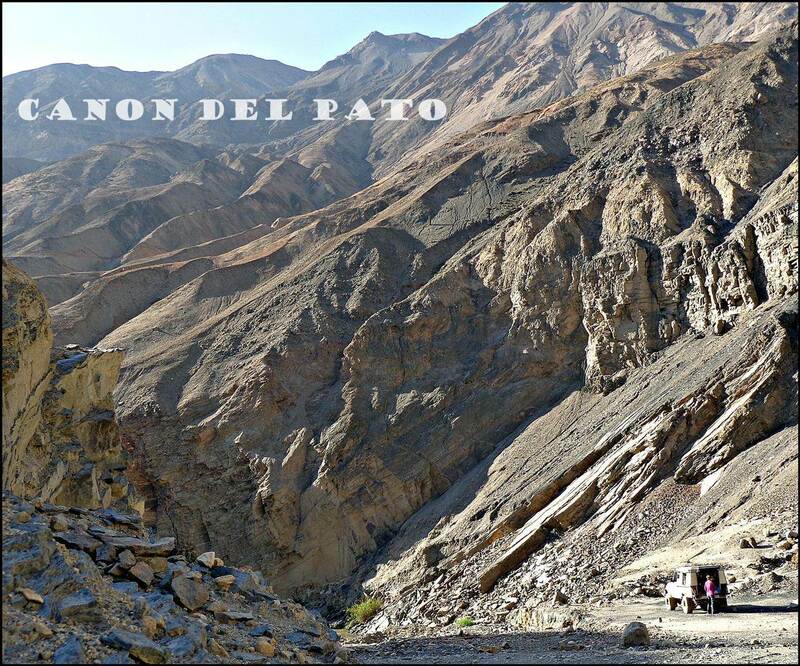 At first we thought we must still be heading towards the canyon, but eventually realized that what we were seeing was in fact the canyon. 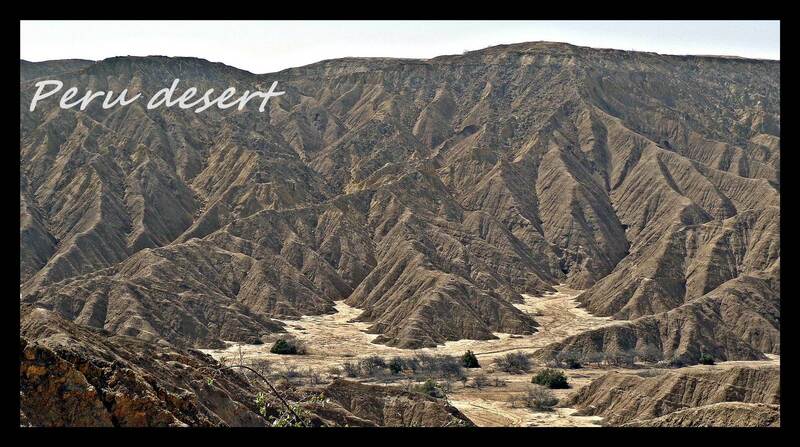 Unlike the Grand Canyon however, this canyon does not have the sheer vertical drops but gradually climbs from bottom to top in the form of mountains. 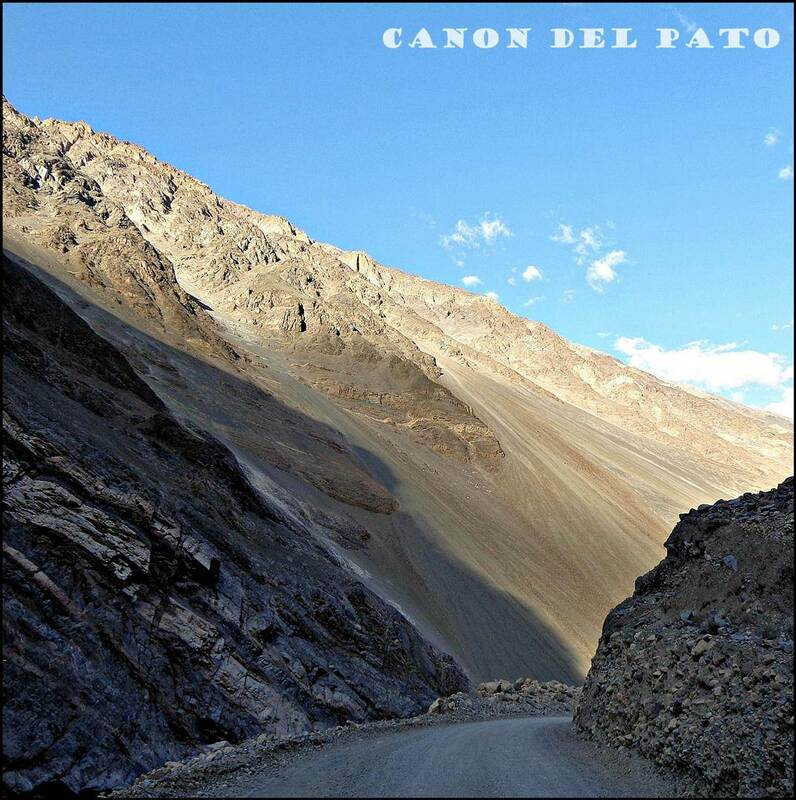 Instead of therefore looking down into the canyon, you stand at an altitude of 2600m looking up to the sides of the canyon. 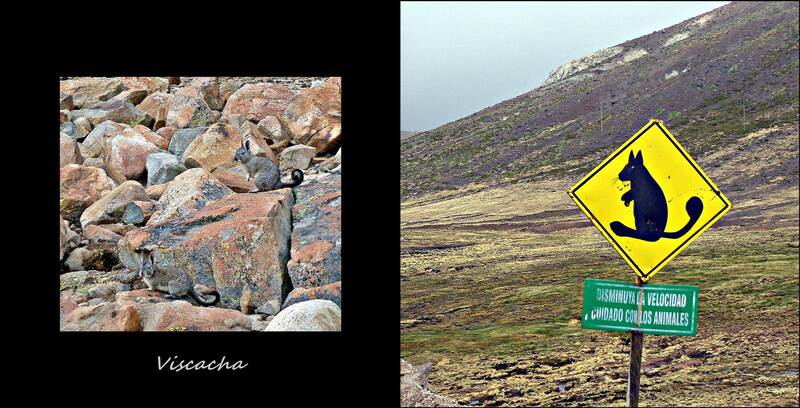 It was, to say the least, a little disappointing considering the kilometers we drove to get there. I guess it isn’t all about size then. 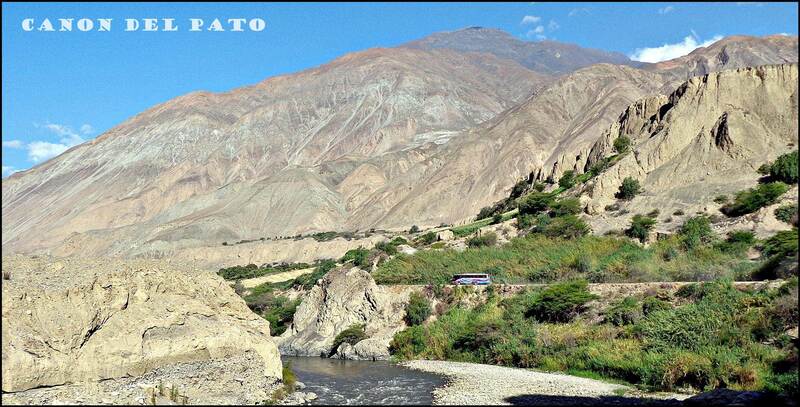 South east of the Cotahausi canyon, the touristy Colca canyon did not offer any surprises either and we only drove in half way. 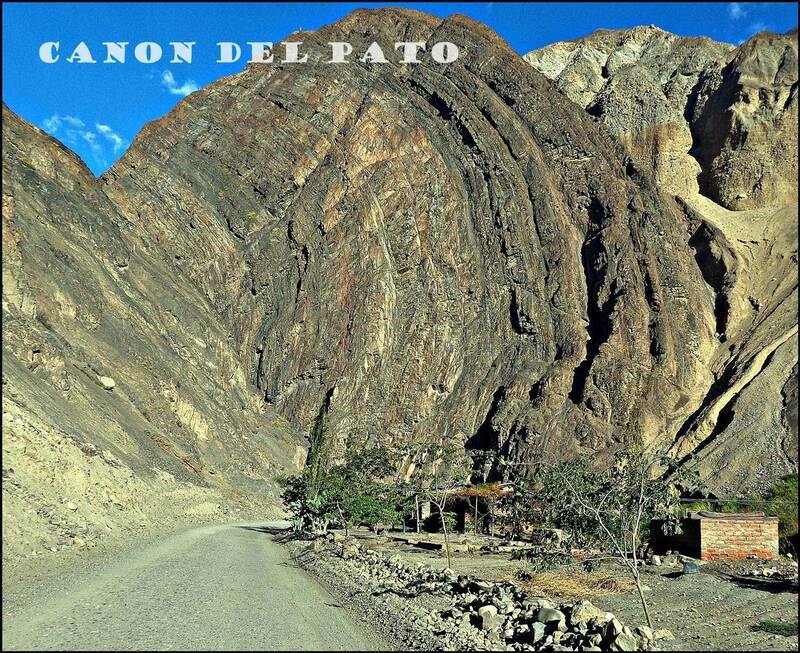 We could be wrong from a geological point of view, but from an awesome –enormous- make-you-feel-like-a-tiny-speck-of-sand-point of view, we really feel the Grand Canyon was much more spectacular …sorry Peru, you have the mountains, why bother with the canyons. 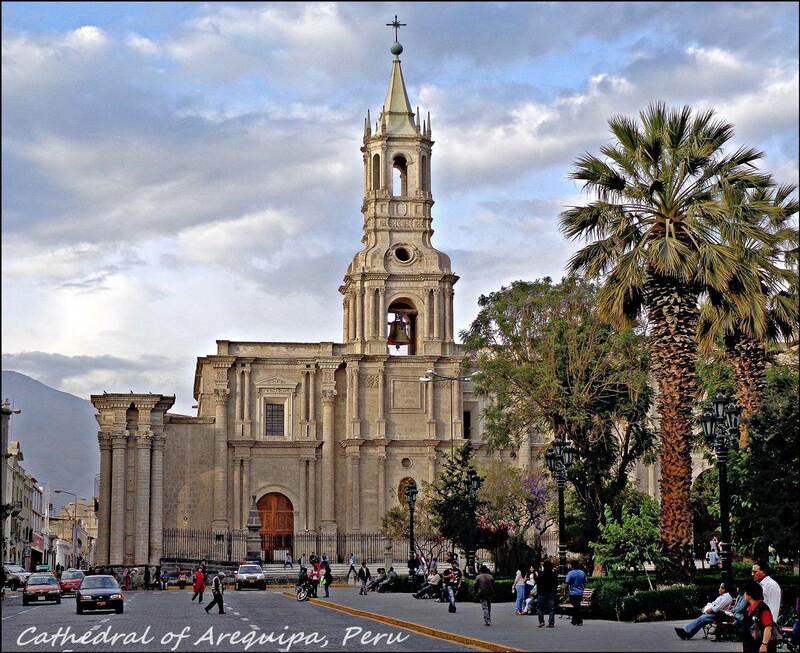 Considering we weren’t going to Machu Picchu, we considered the detour to Cuzco a waste, so instead we went to Arequipa where we stayed in the wonderful Hotel Mercedes enjoying the warm temperatures and grassy campsite. 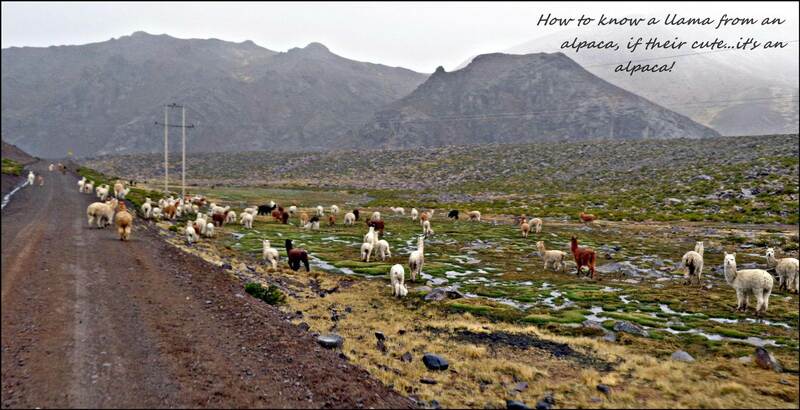 Following Arequipa, we headed for the border of Bolivia on the shores of Lake Titicaca,however, not before we crossed the damn Andes mountains one more time! 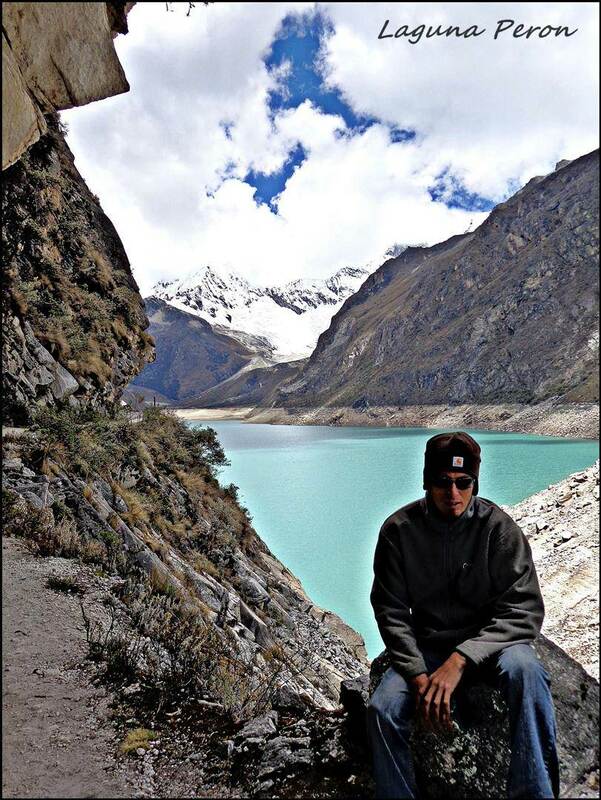 Peru really impressed us with its diversity and jaw-dropping sights, although sometimes the hype about a place was better than the actual place. Regrets include not trying the more of the amazing food such as cerviche and cuy (guinea pig), but we’re still not heartbroken about Machu Picchu. 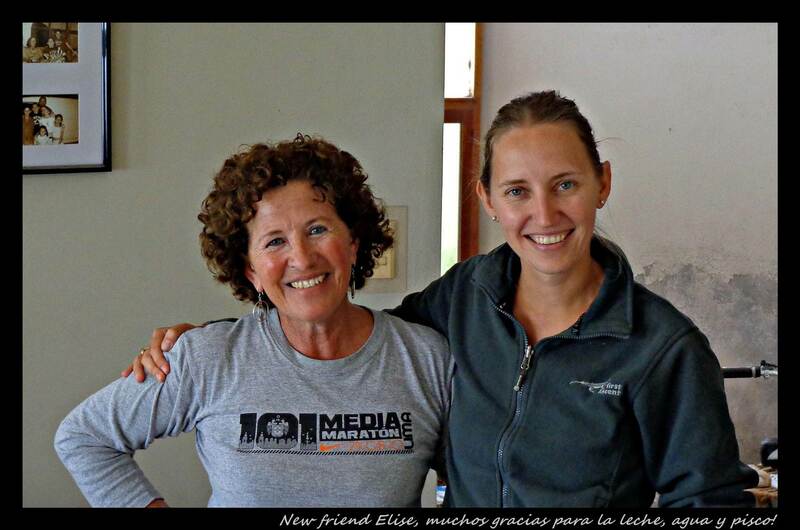 I didn`t see you again in Chilecito again…..Your photos are very nice. You are qualified for taking photos of cyclists in any deserts. Feliz navidad y prospero nueve ano.